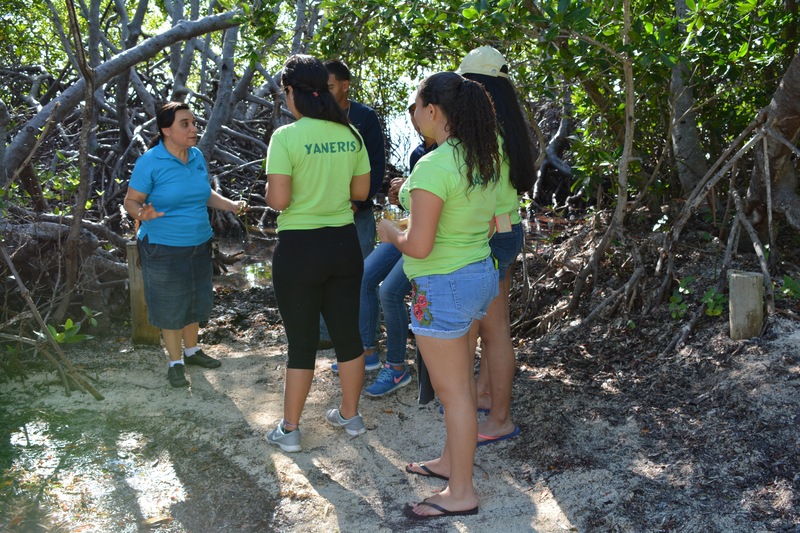 The University of Puerto Rico Sea Grant Program went on a fieldtrip to Playita Rosada on Saturday, December 16th, 2017. 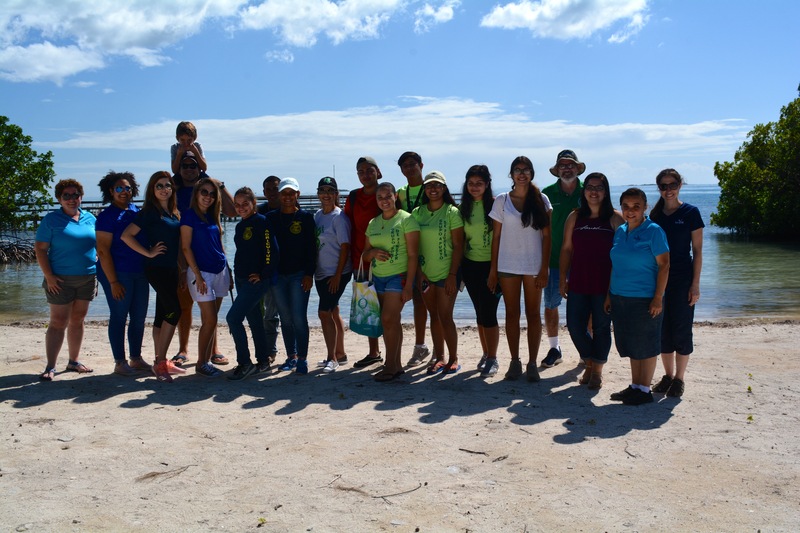 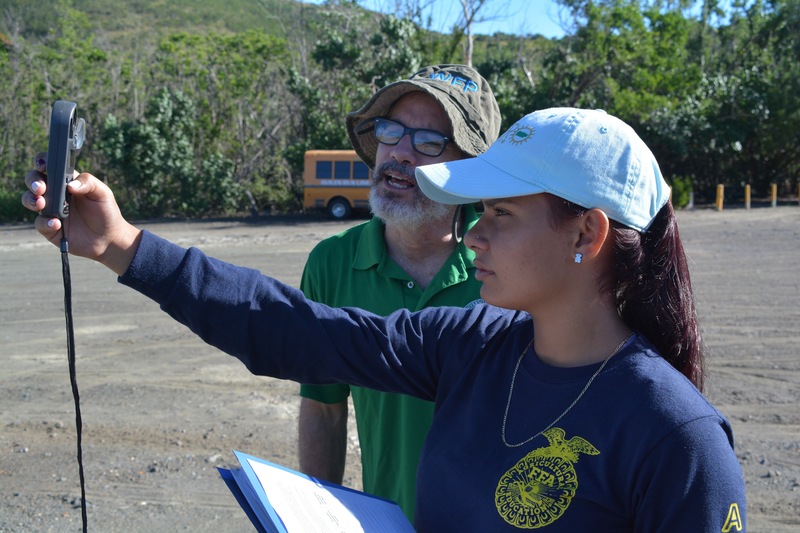 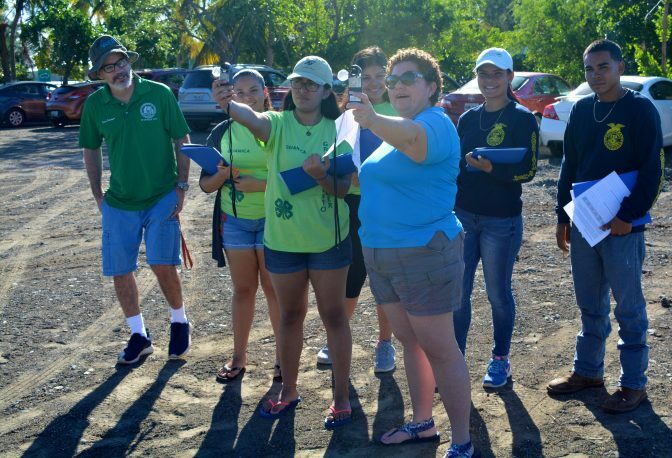 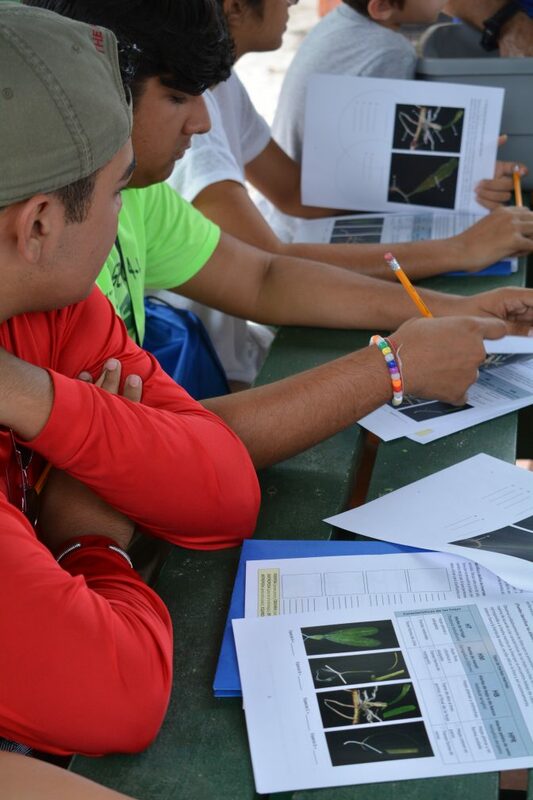 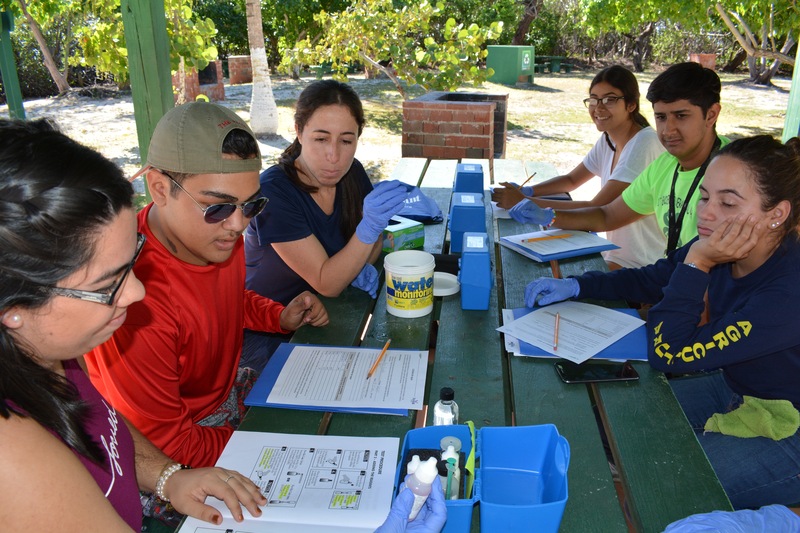 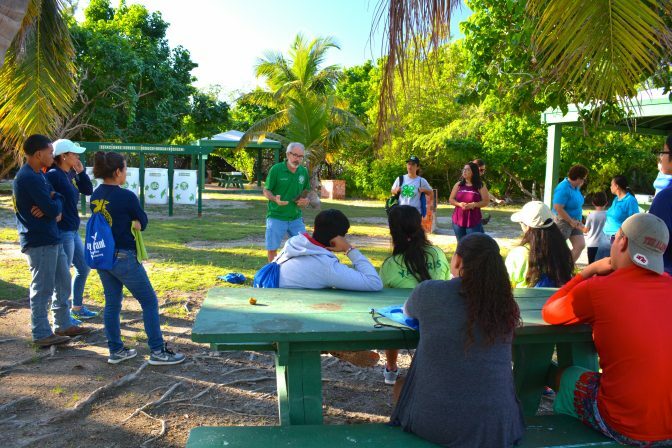 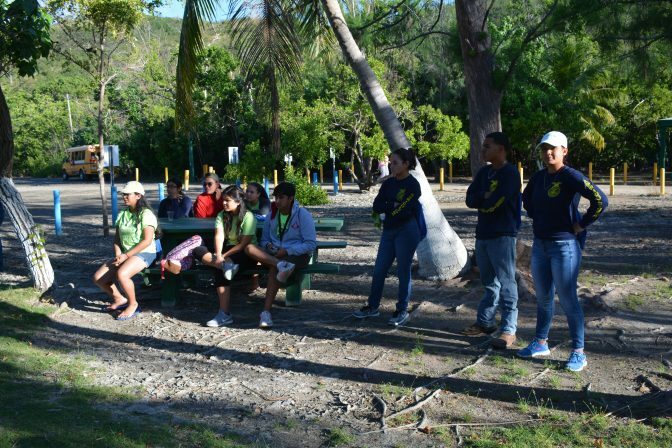 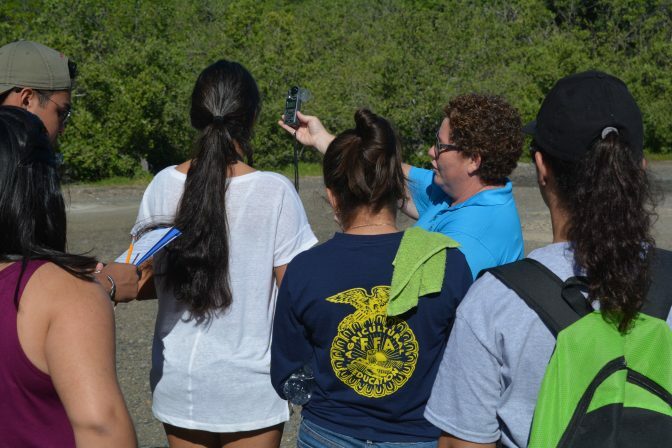 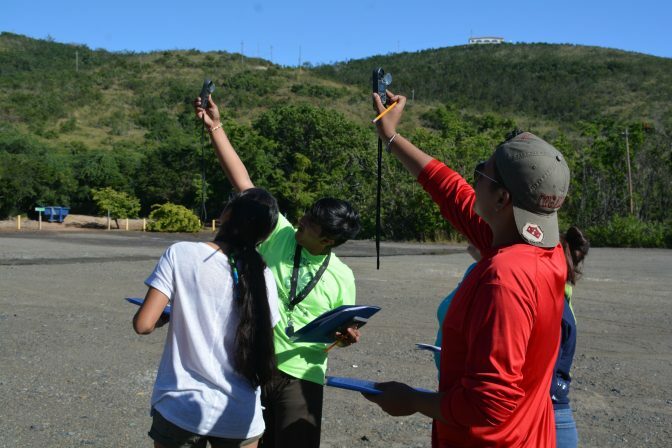 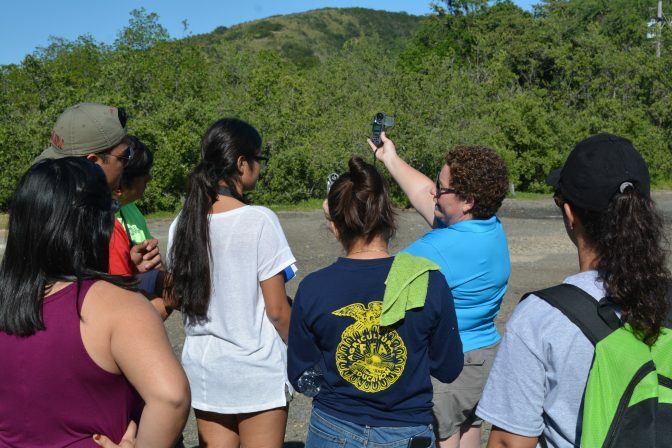 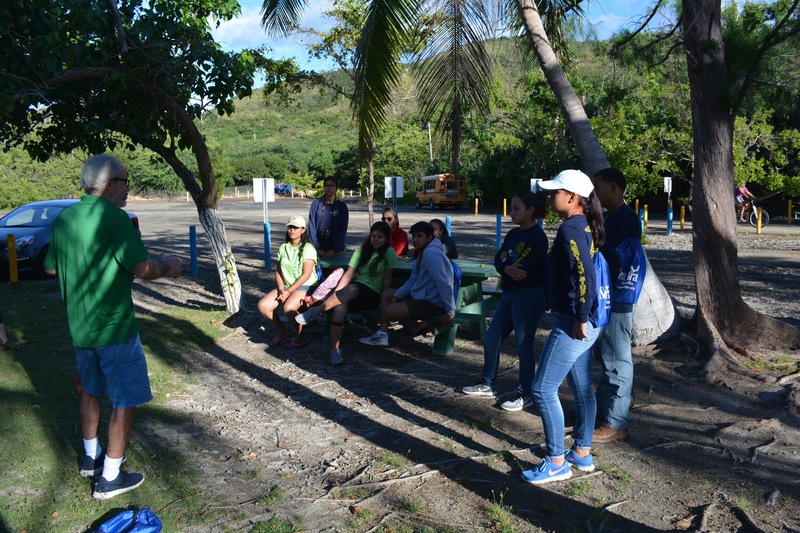 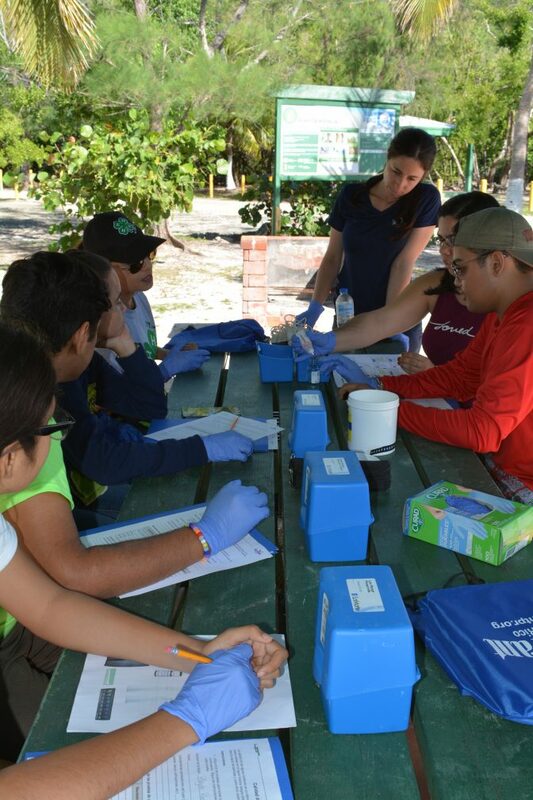 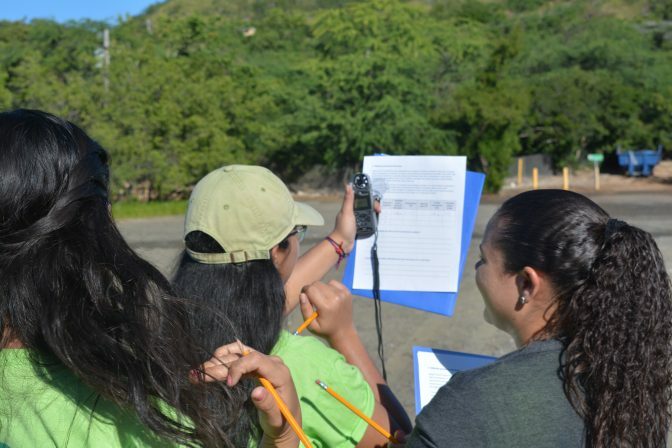 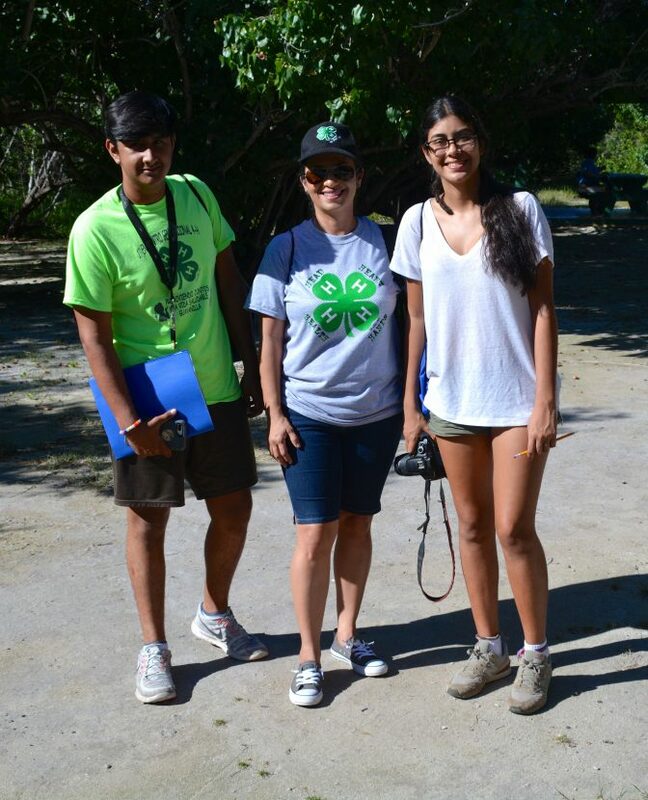 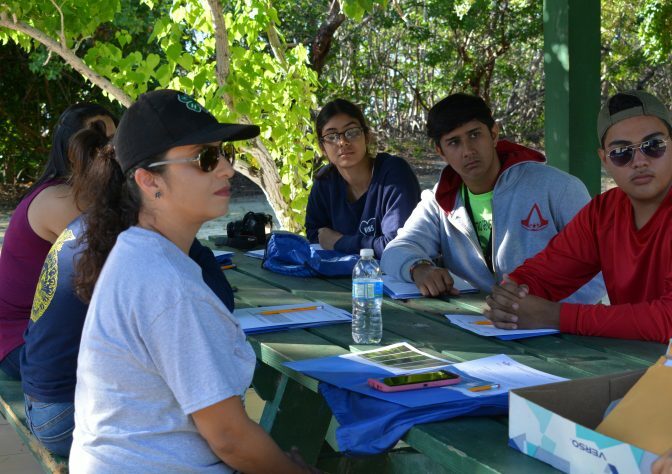 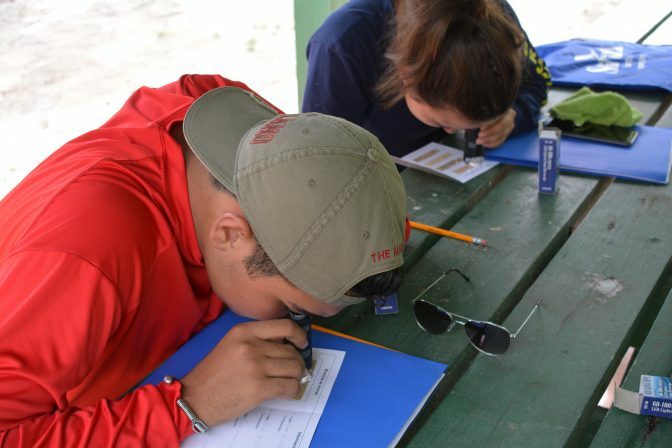 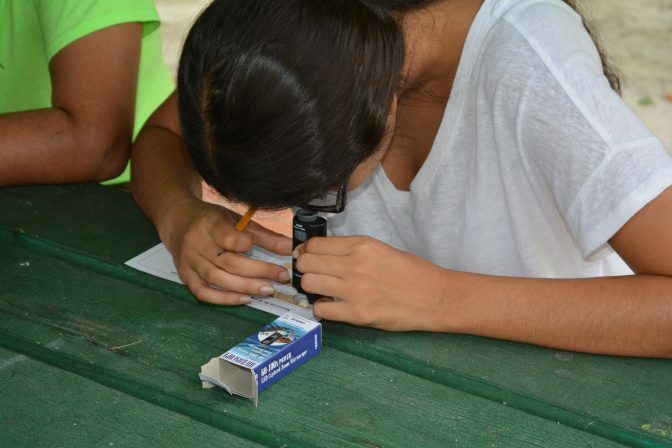 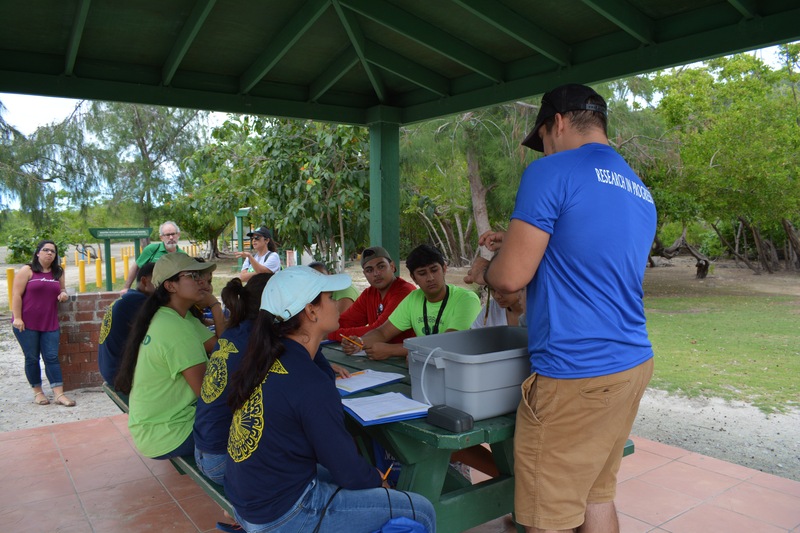 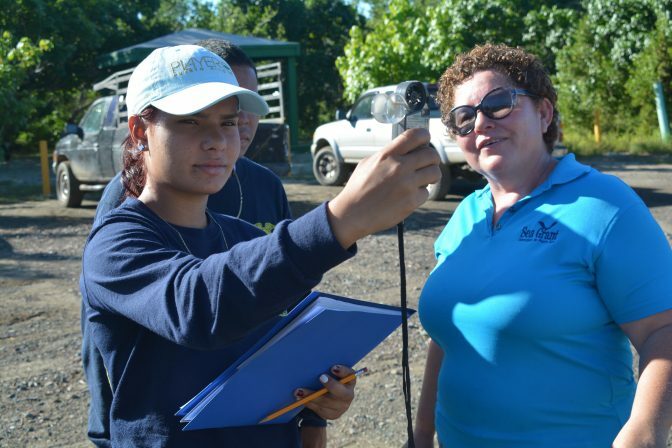 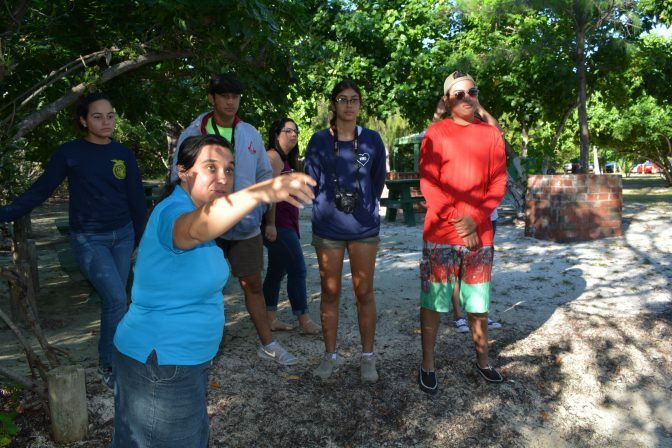 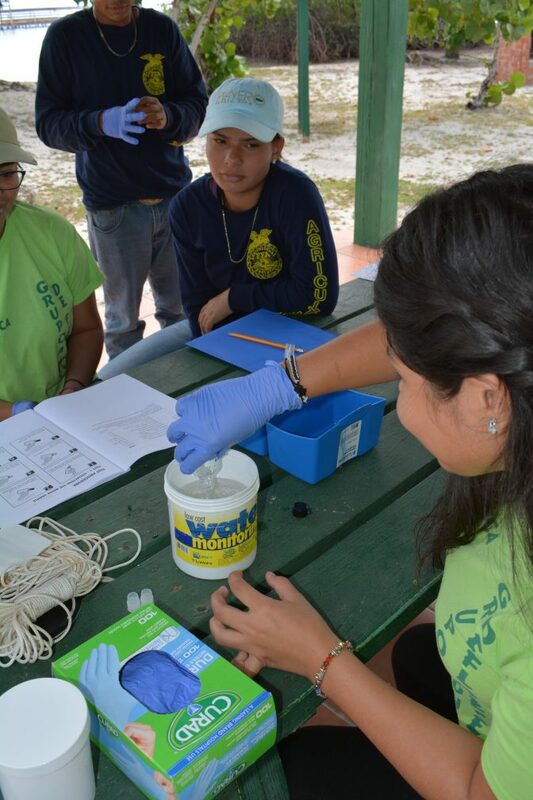 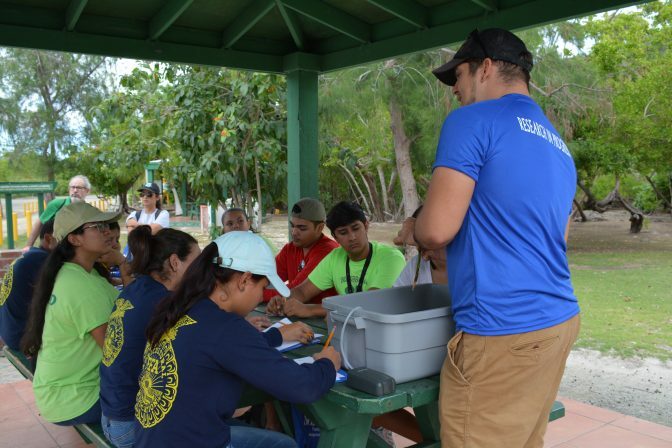 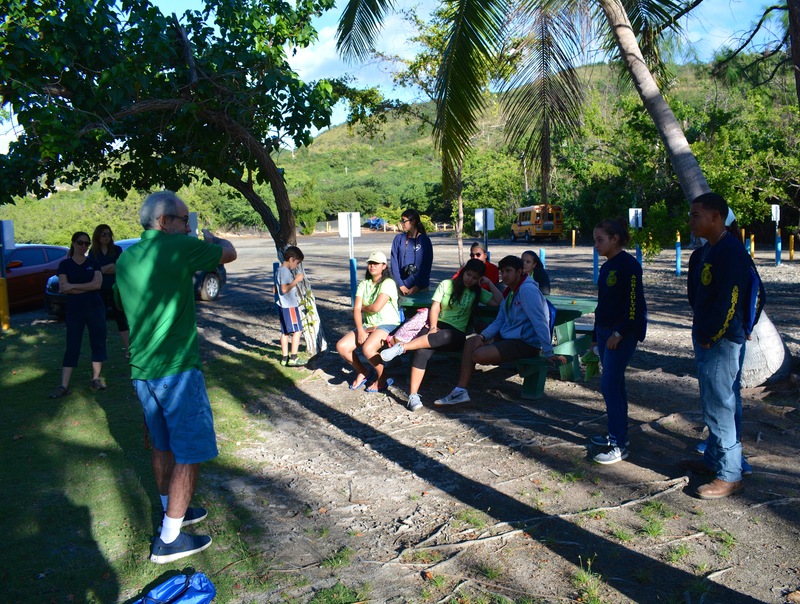 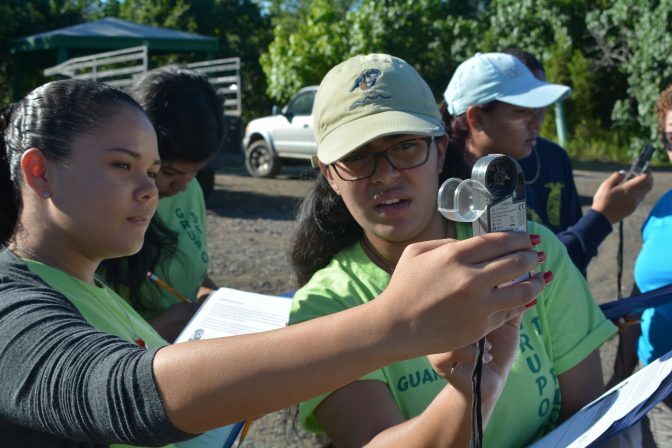 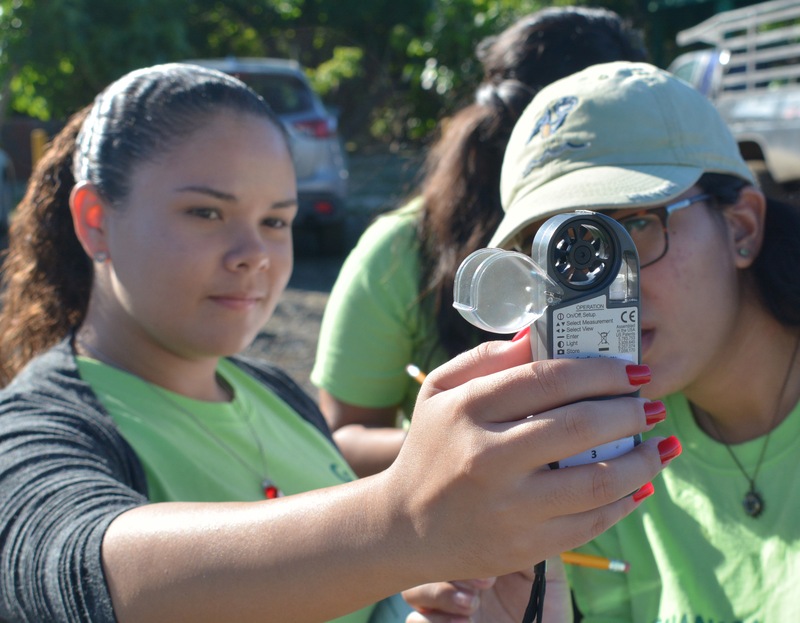 This fieldtrip involved students from the 4H project Exploring solutions to environmental pollution sources along the Lajas Valley basin, directed by Dr. David Sotomayor, a professor from the Department of Agri-Environmental Sciences in Mayagüez. 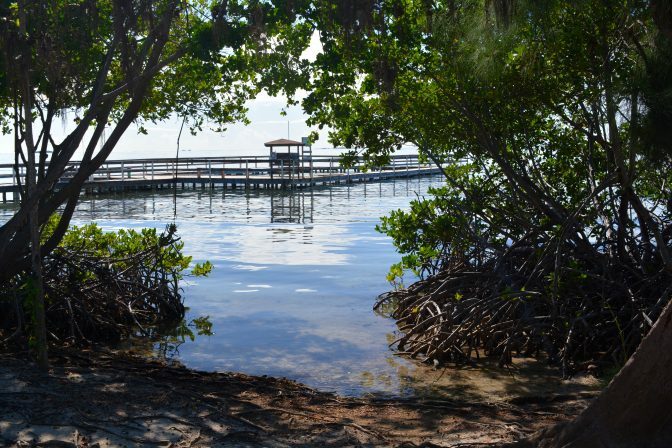 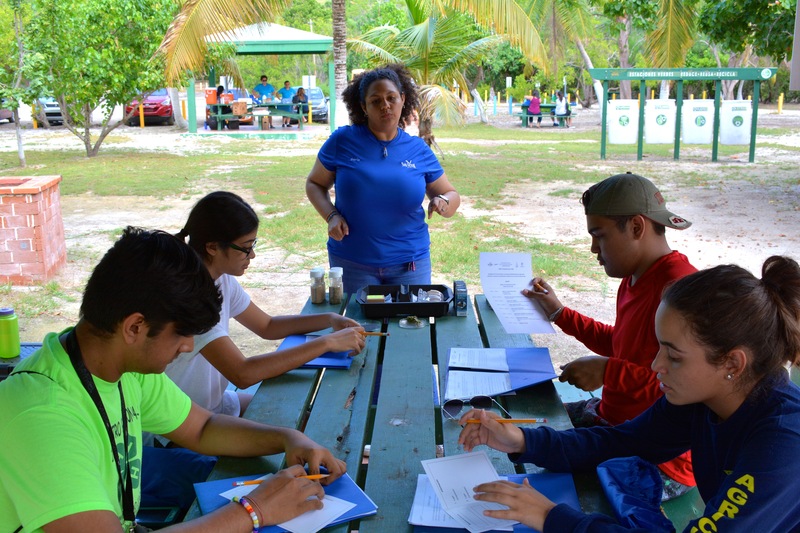 There, students rotated across several stations in which they learned about marine and coastal ecosystems, with stations dedicated to mangrove forests, seagrasses, marine invertebrates, sand and beach composition, water quality, and basic meteorology concepts. 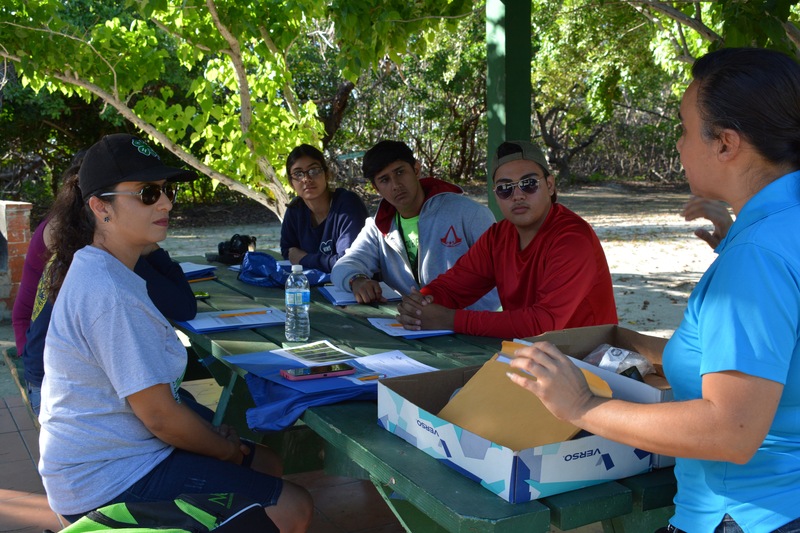 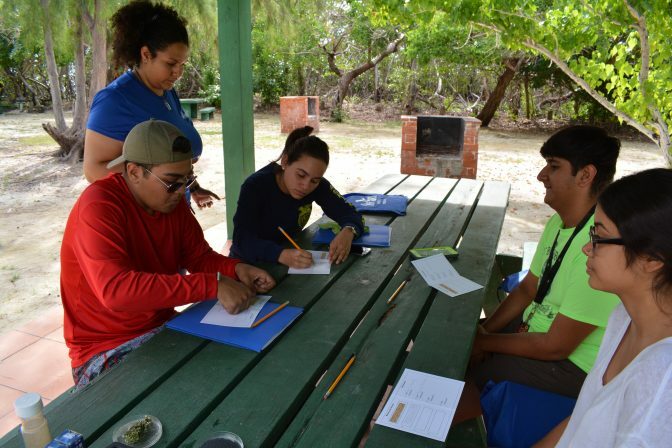 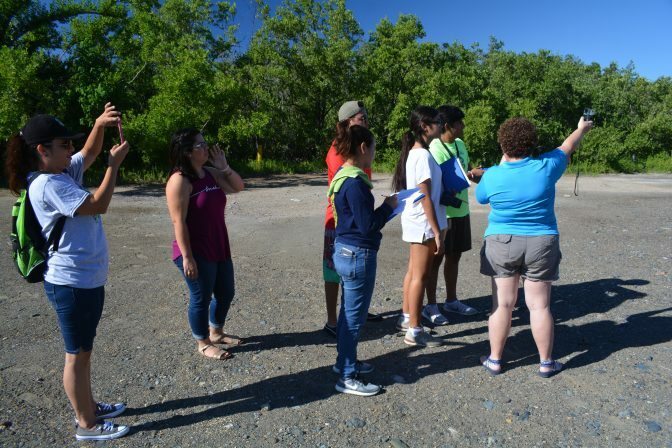 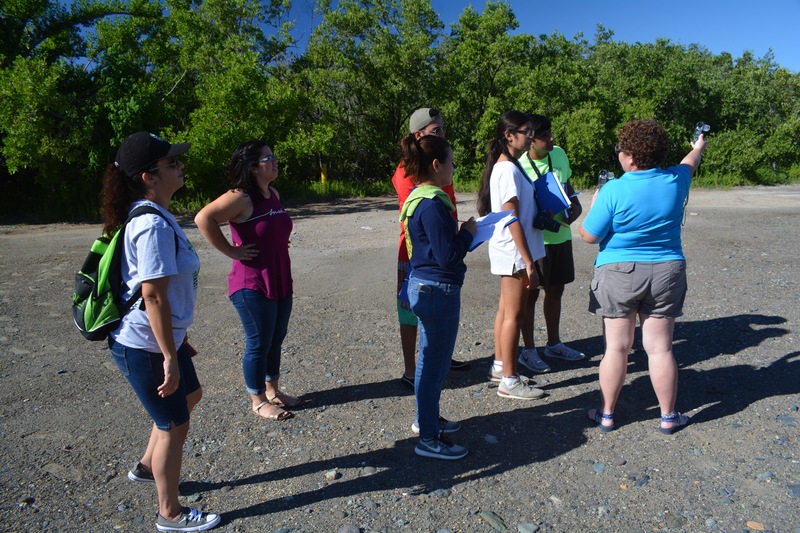 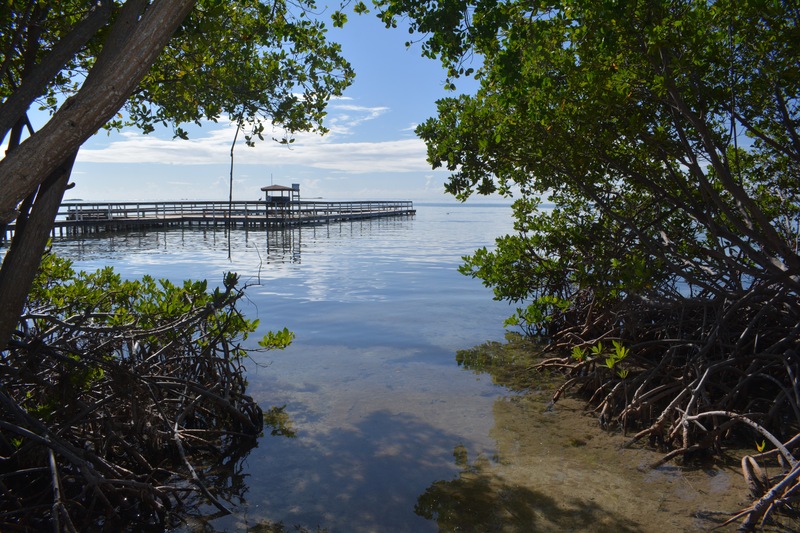 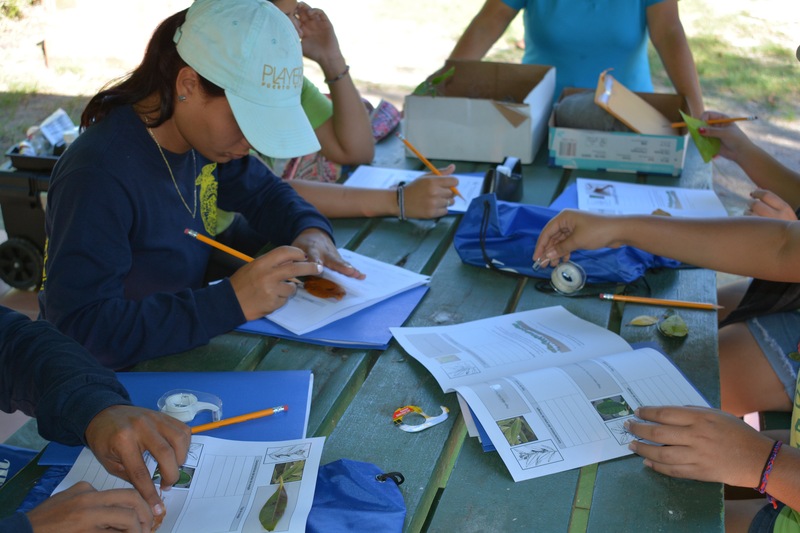 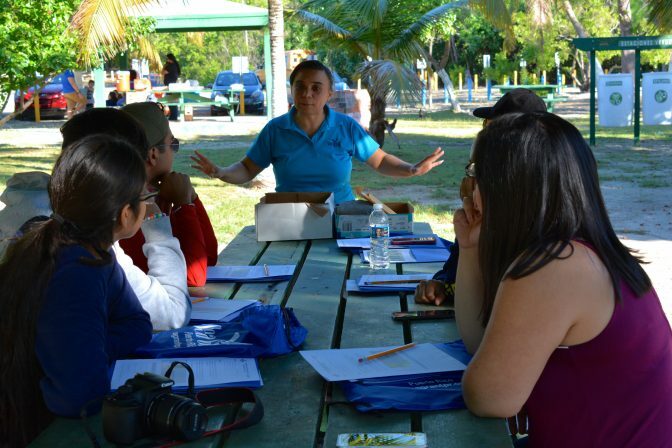 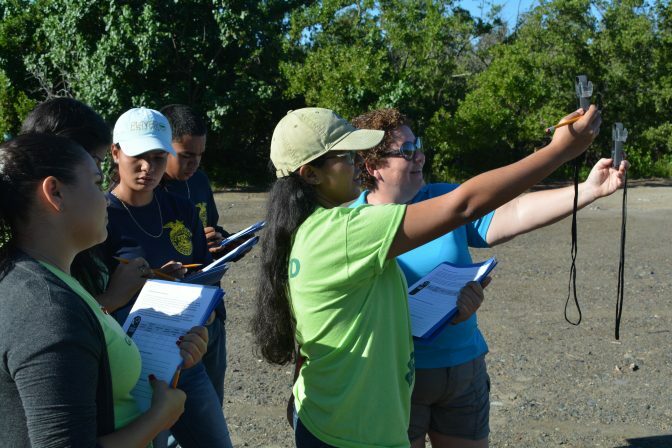 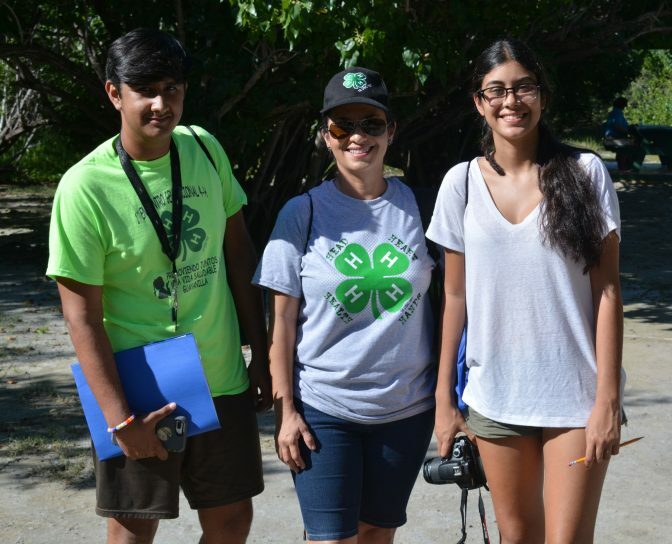 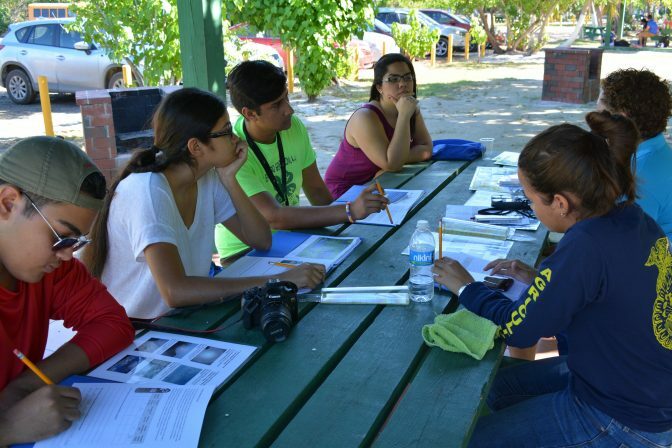 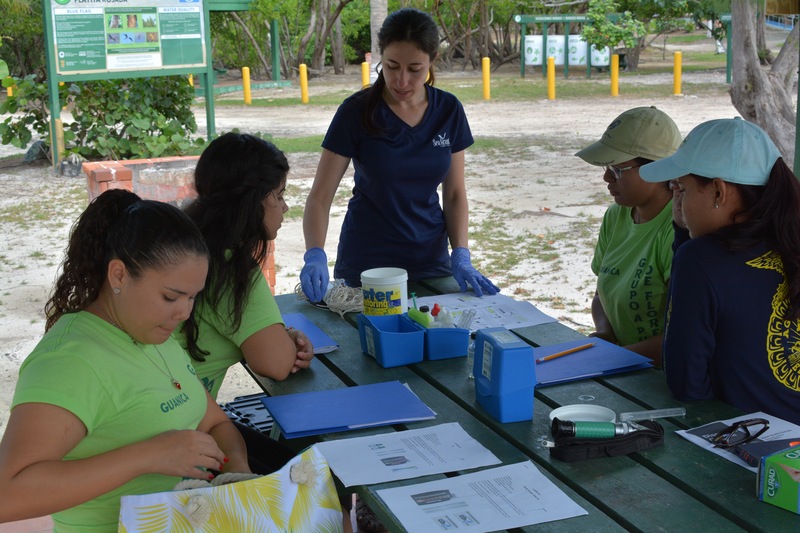 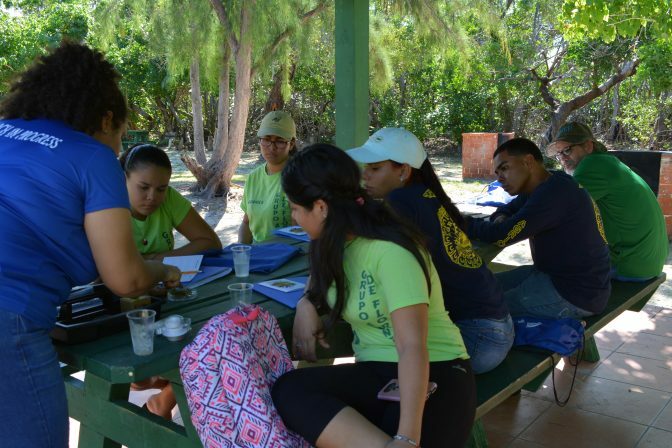 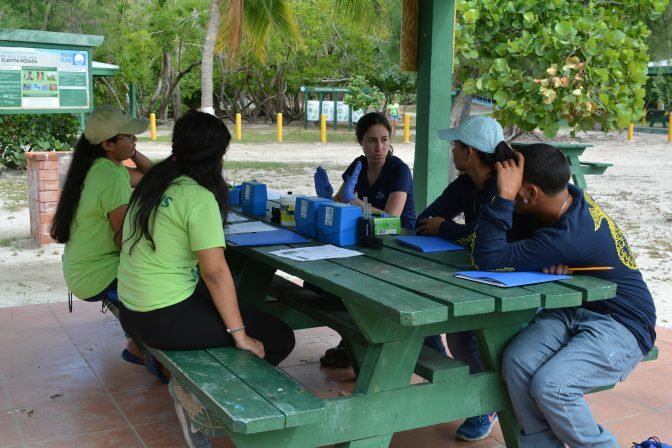 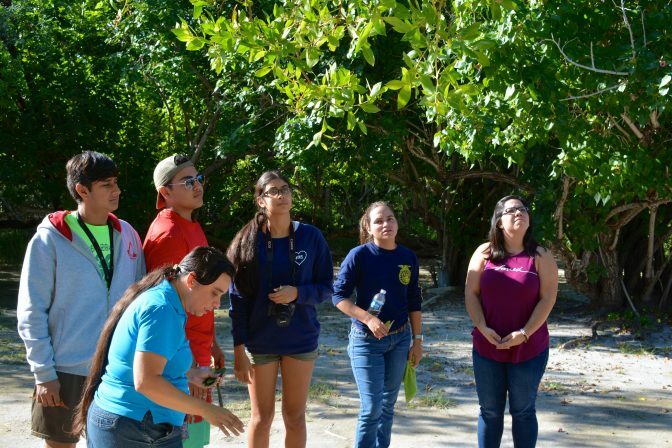 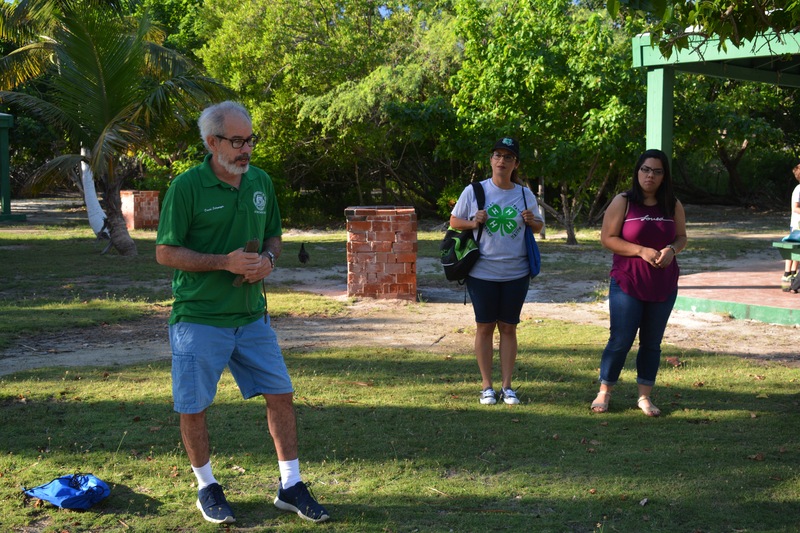 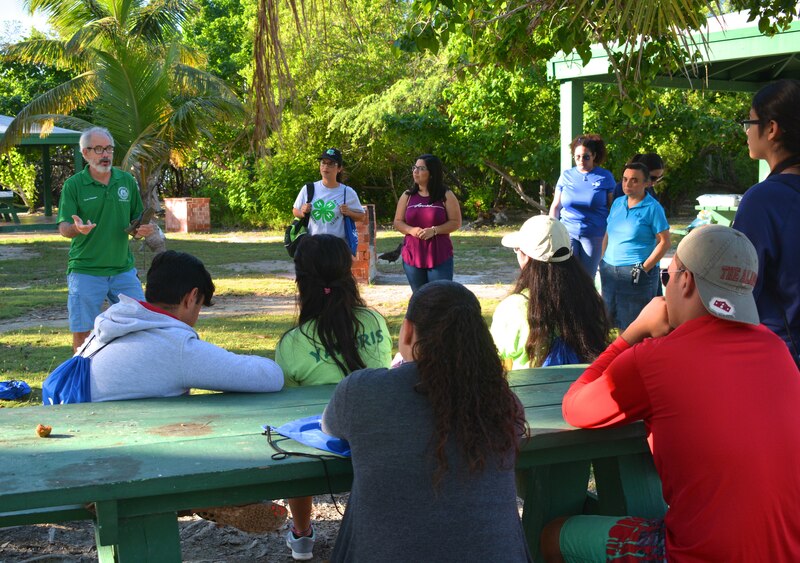 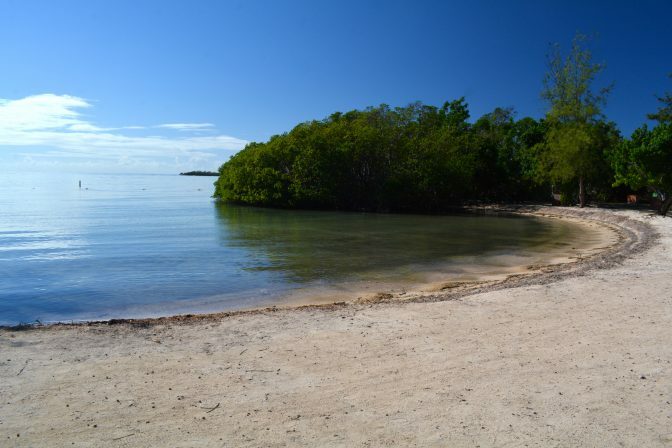 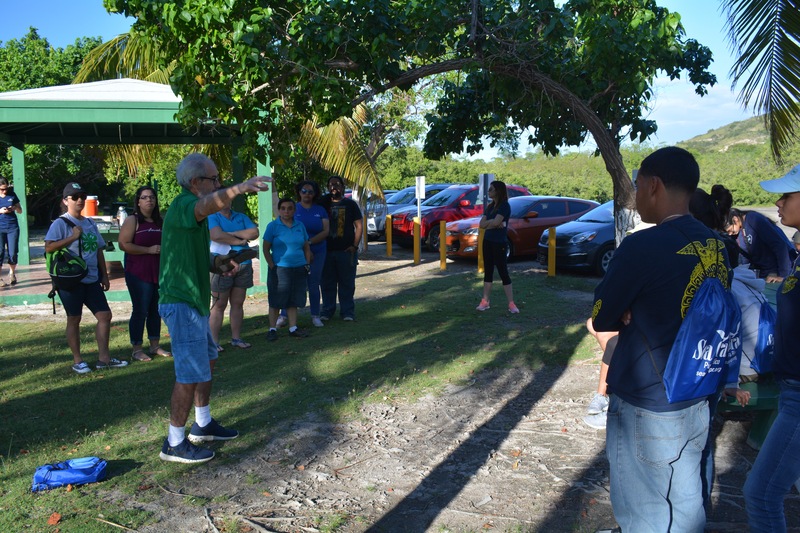 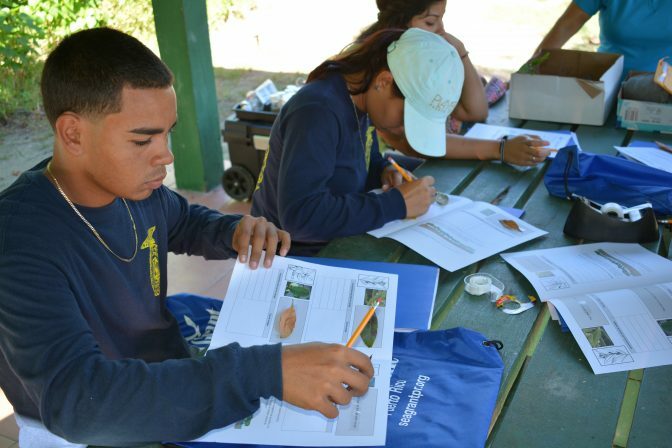 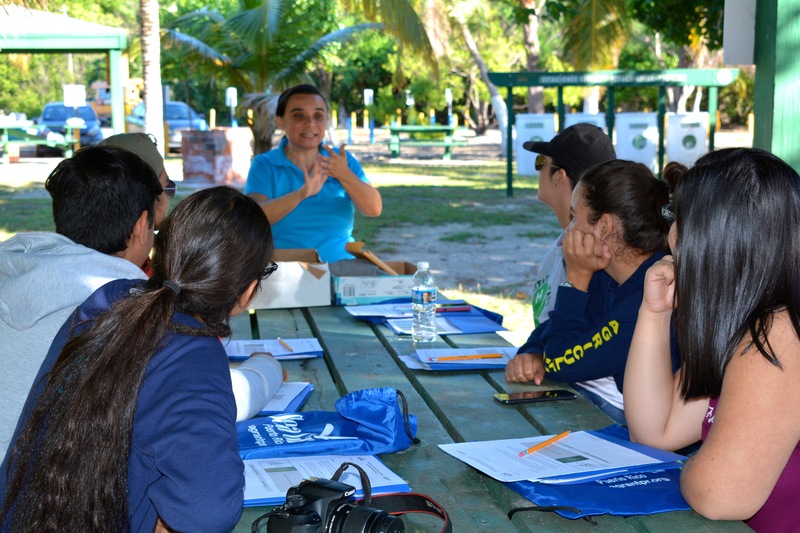 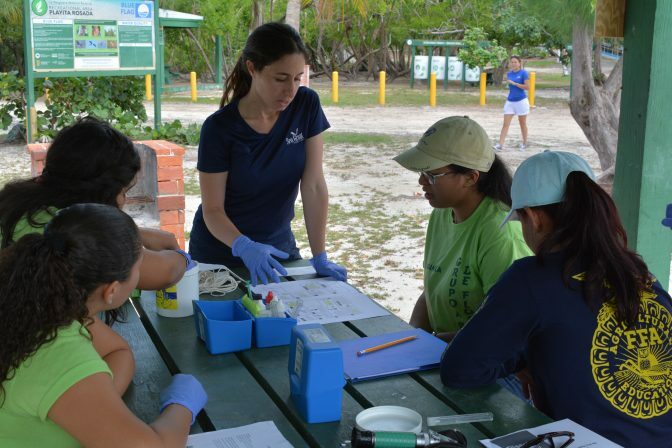 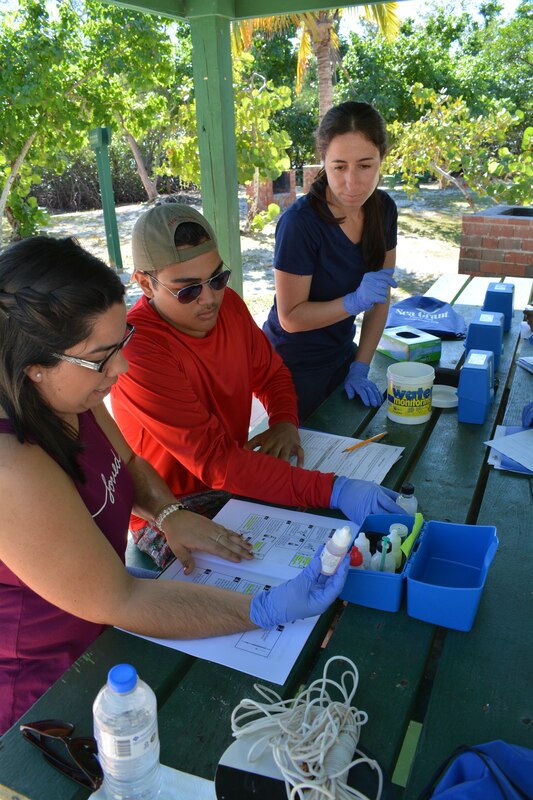 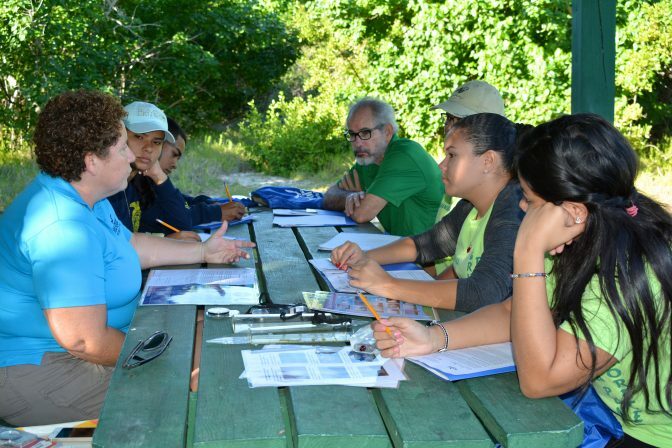 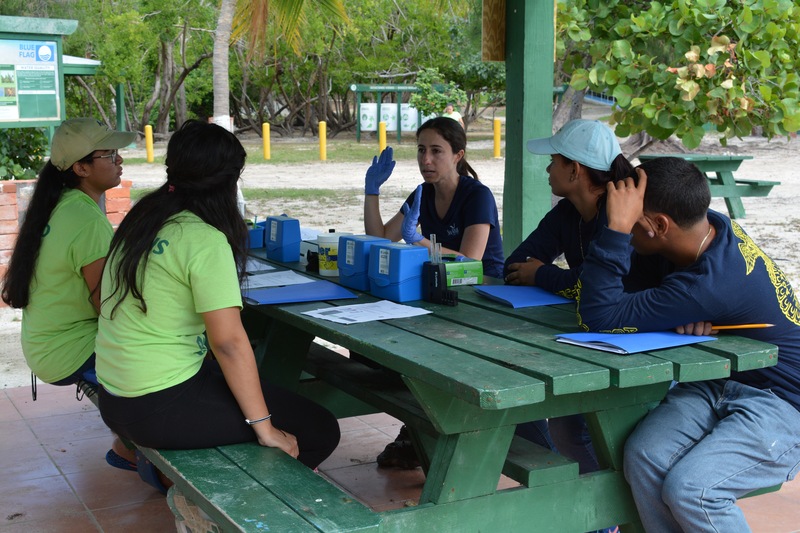 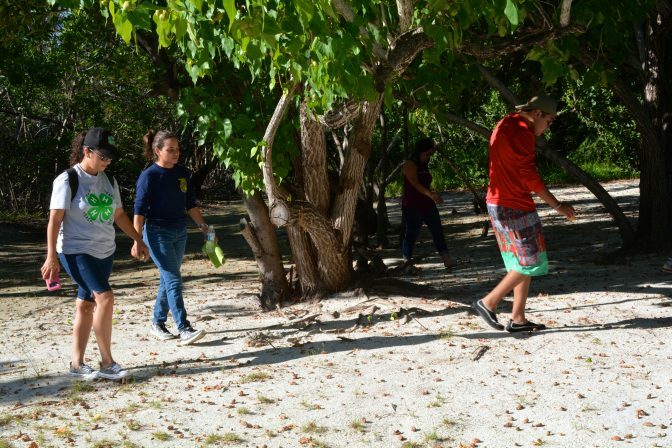 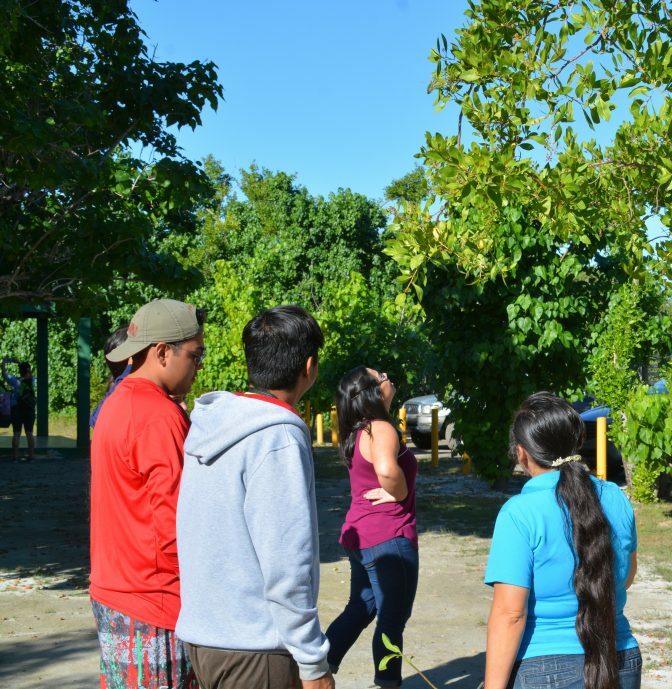 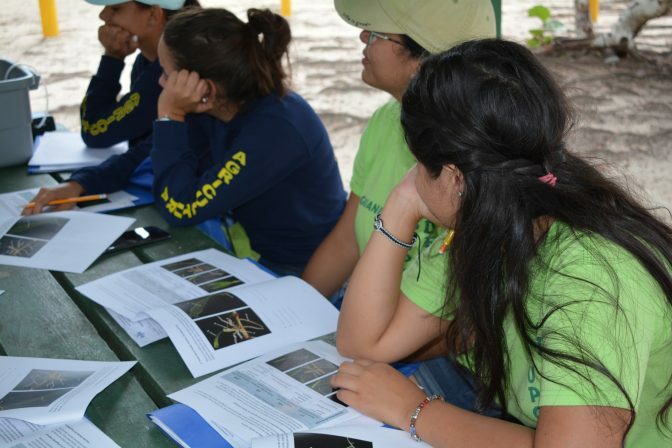 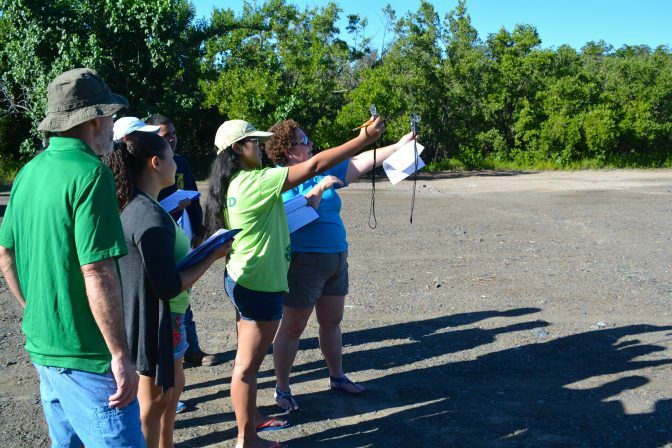 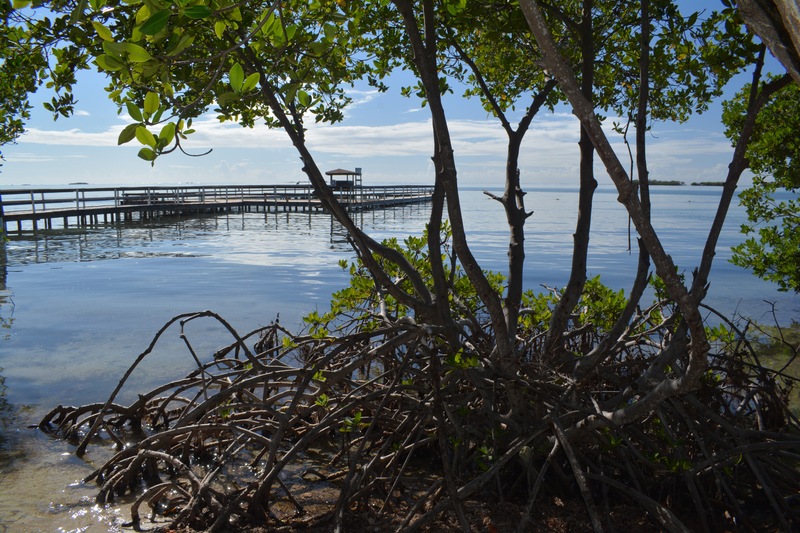 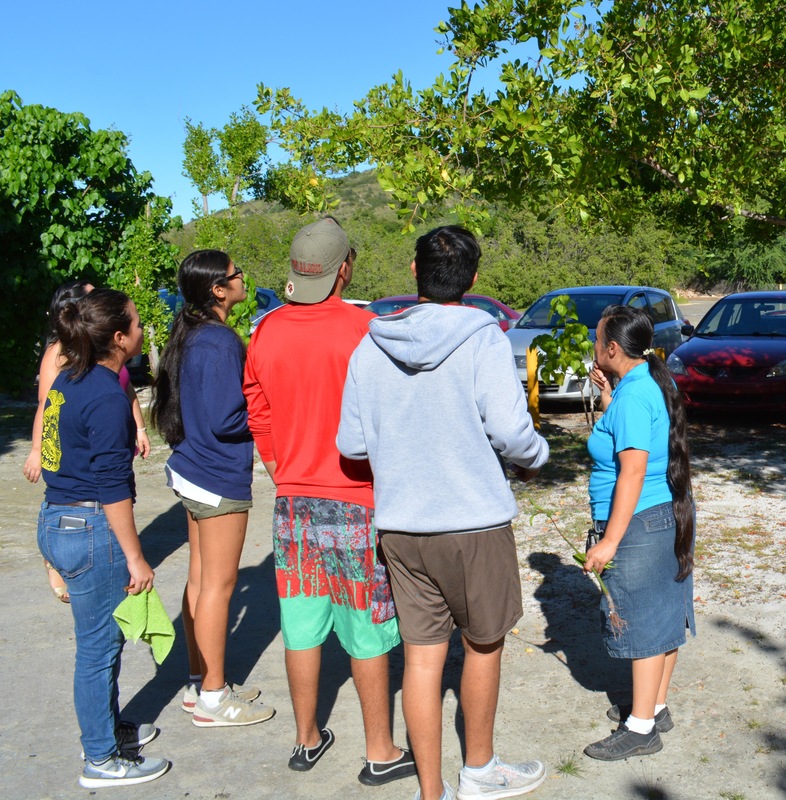 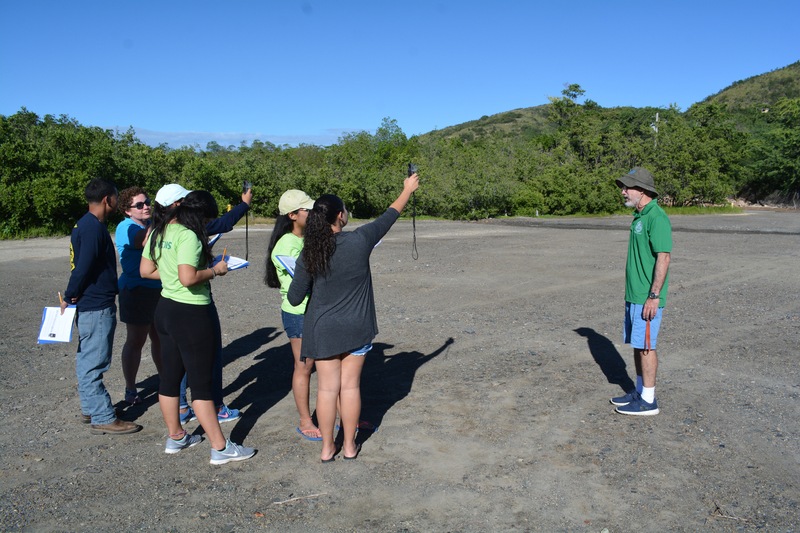 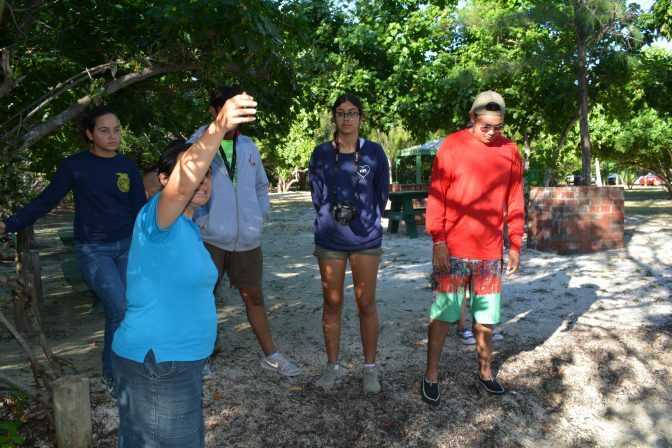 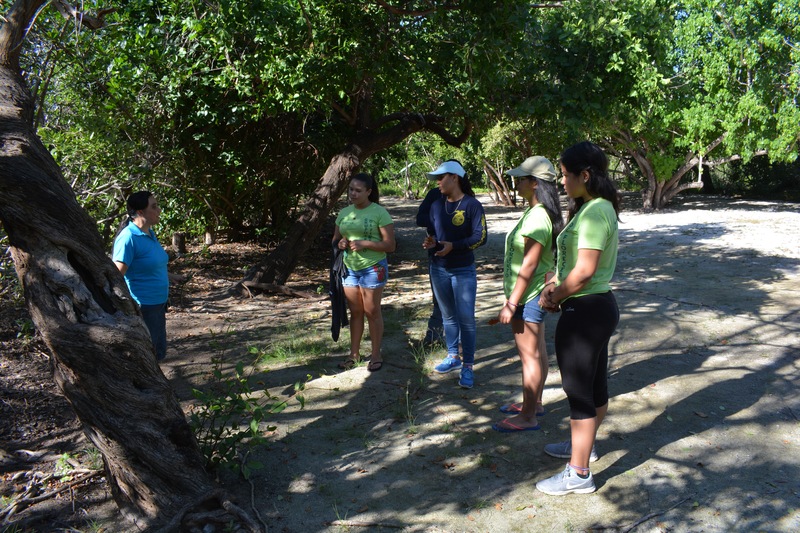 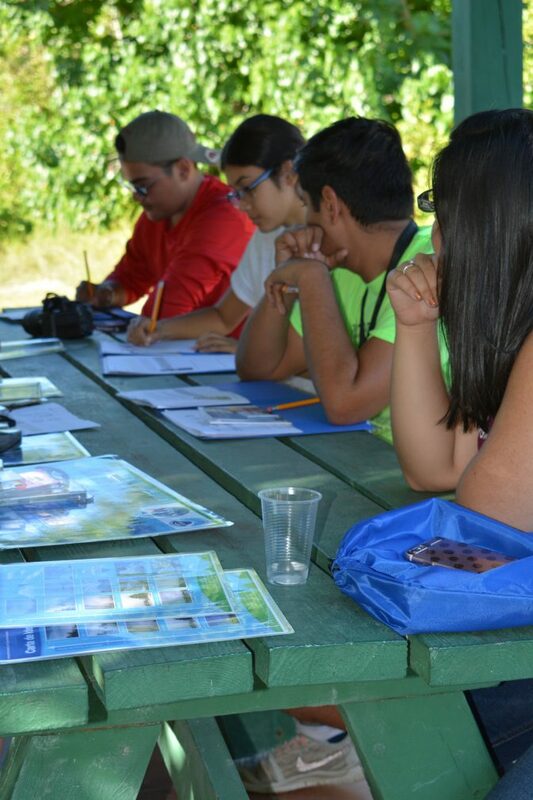 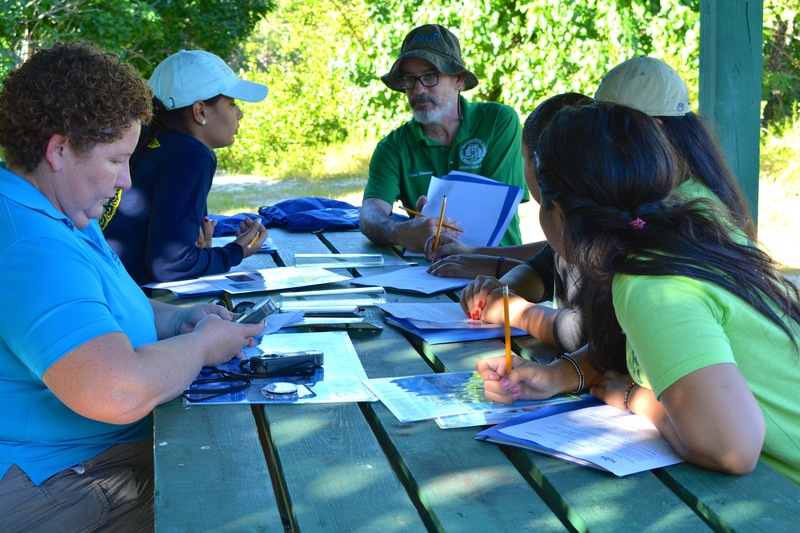 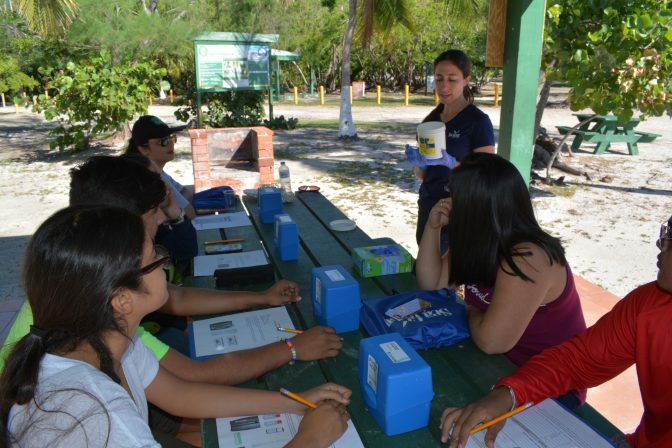 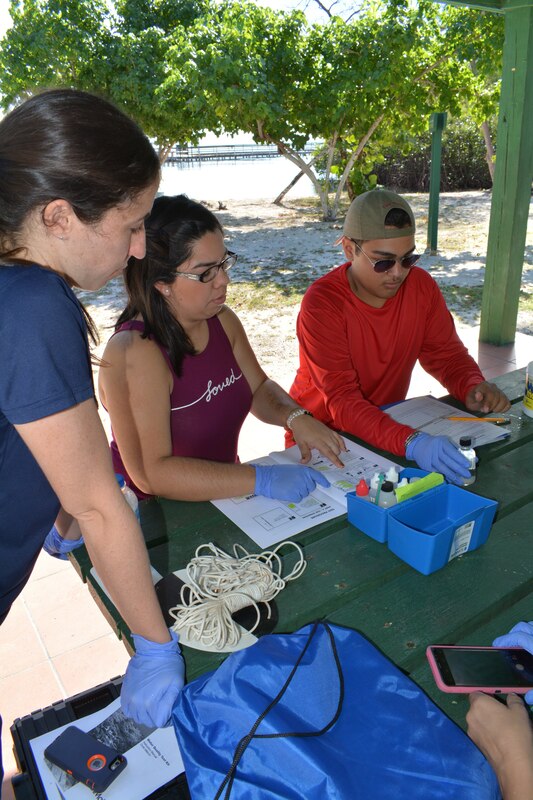 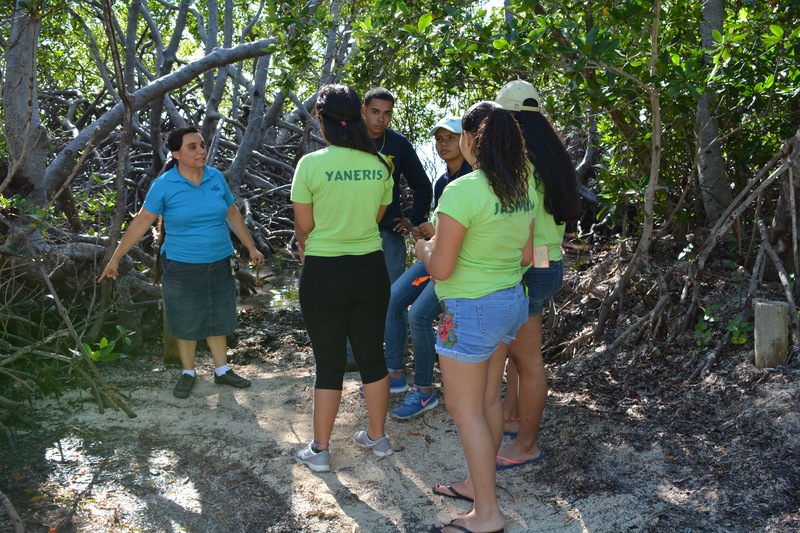 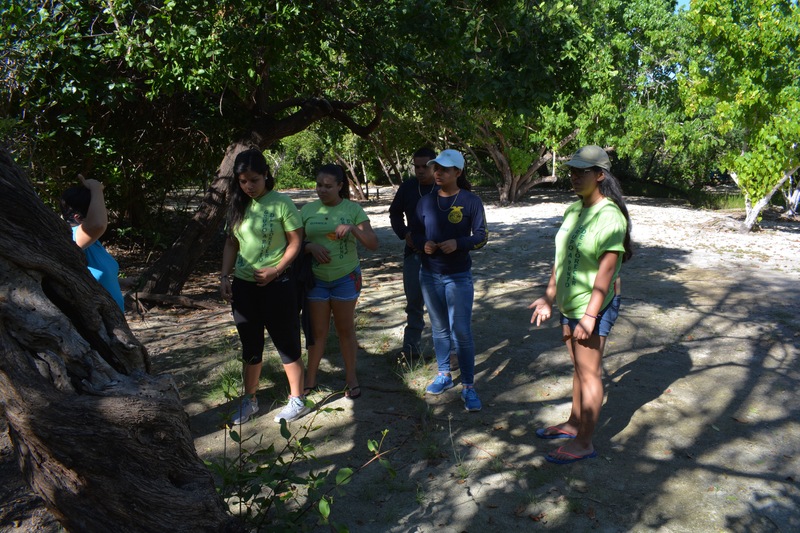 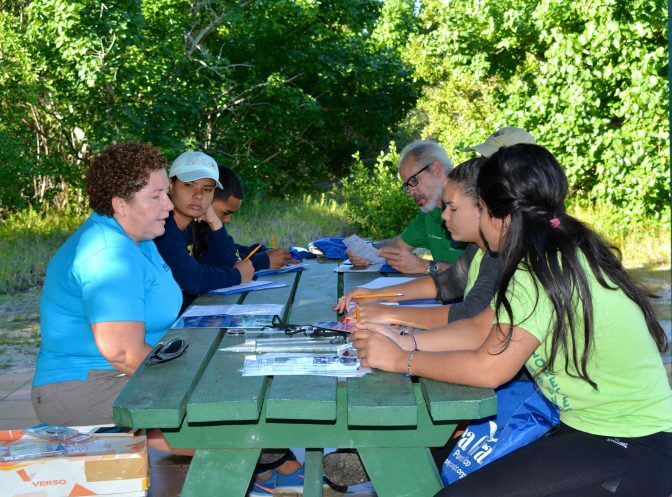 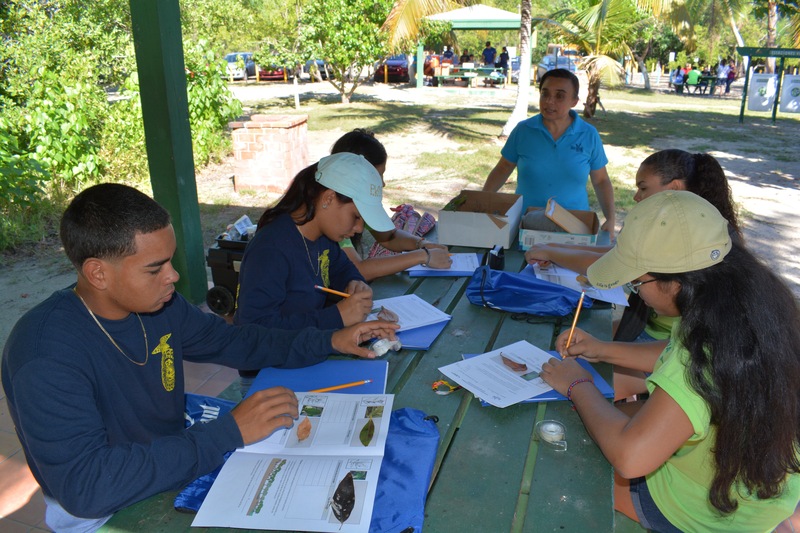 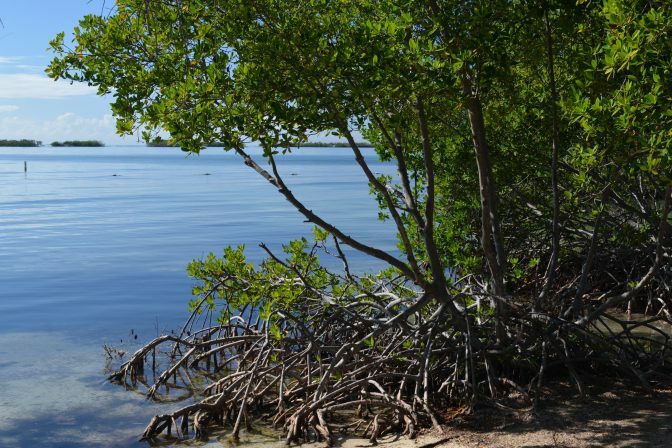 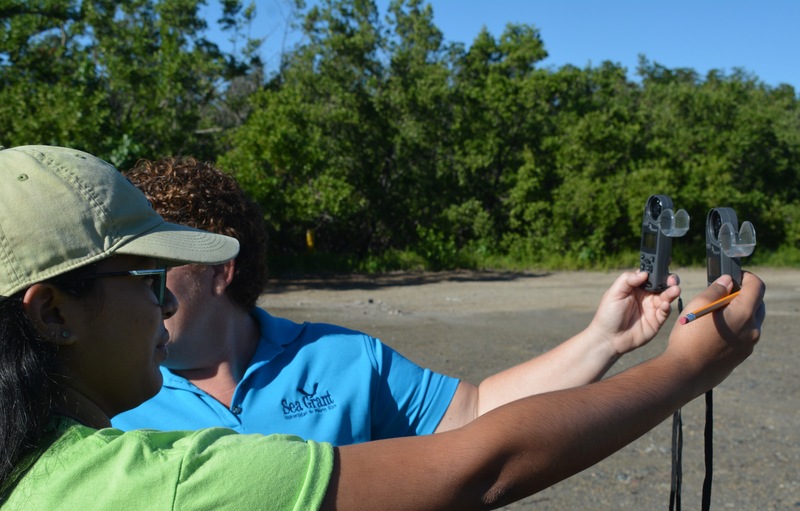 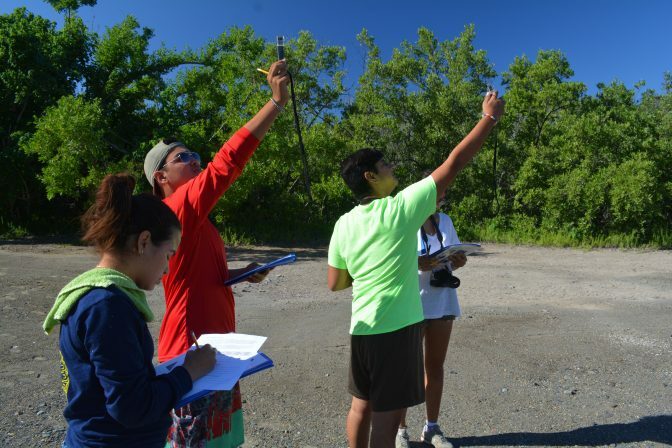 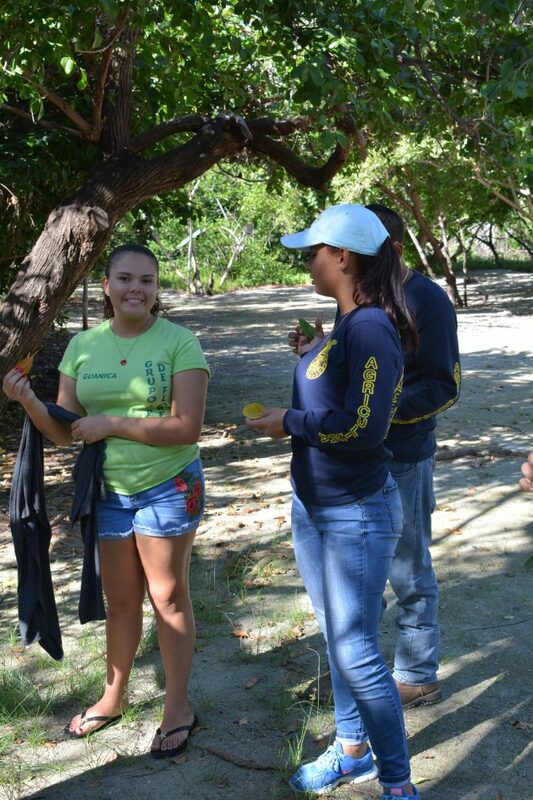 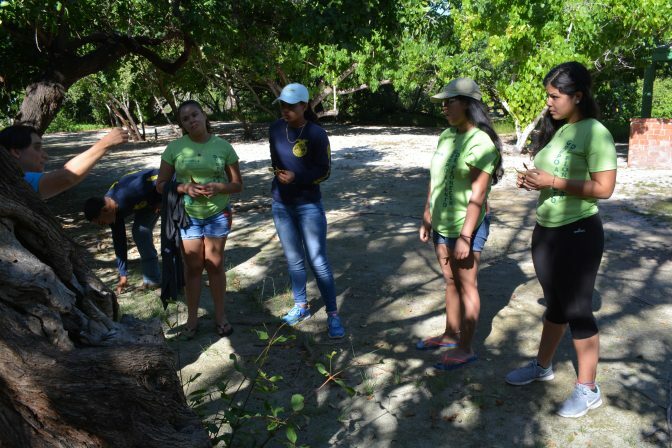 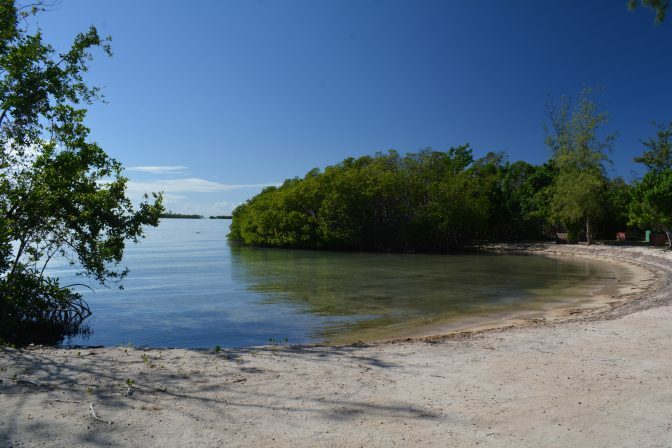 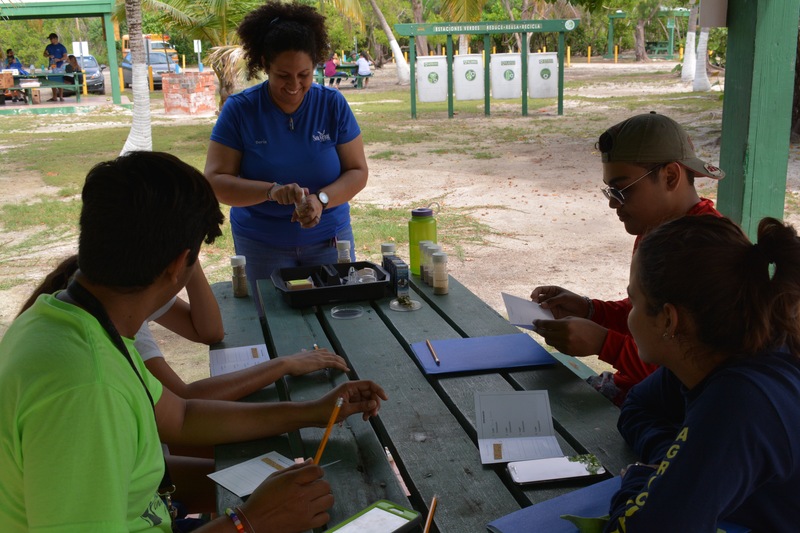 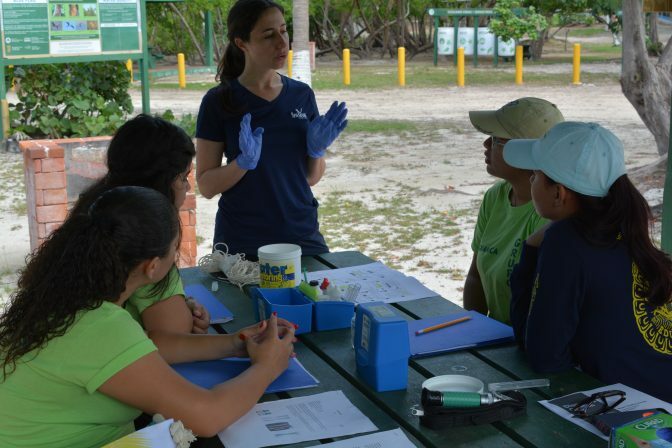 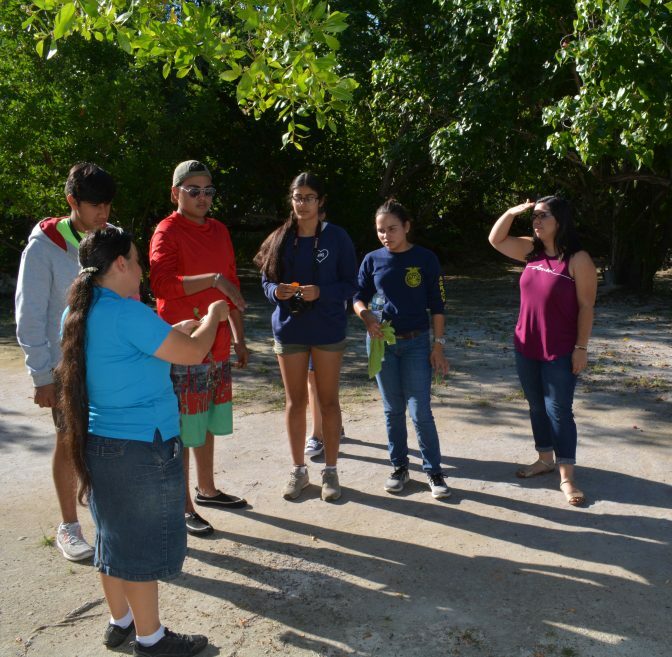 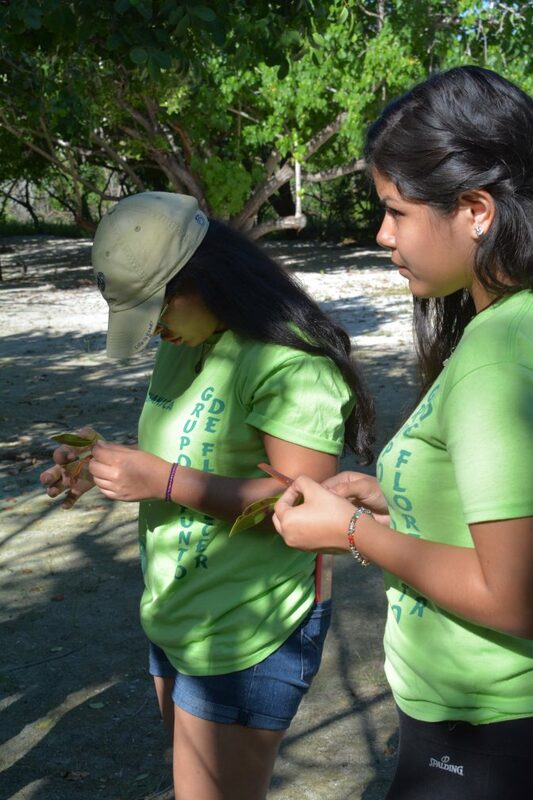 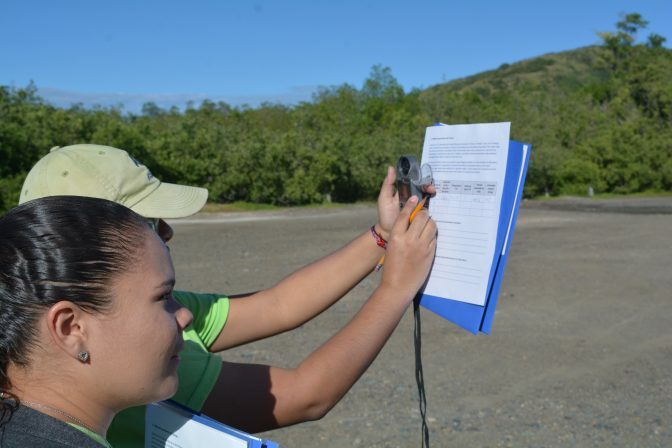 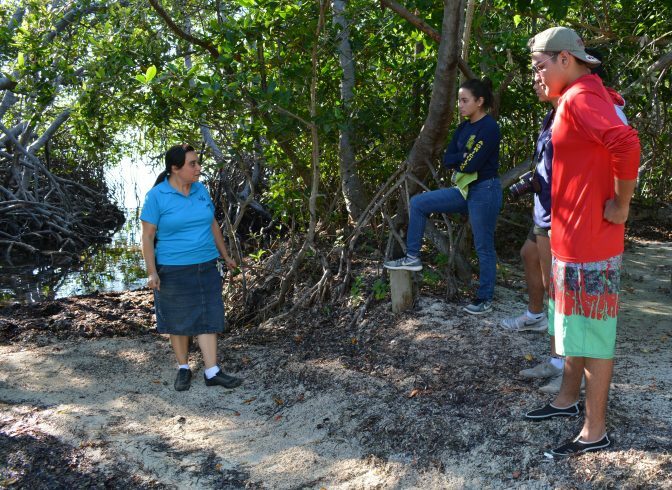 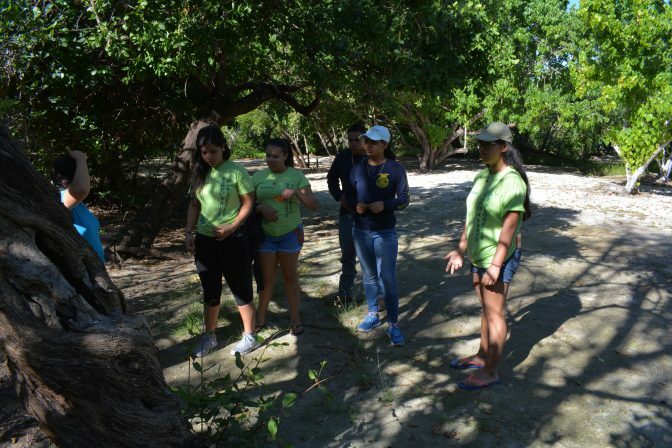 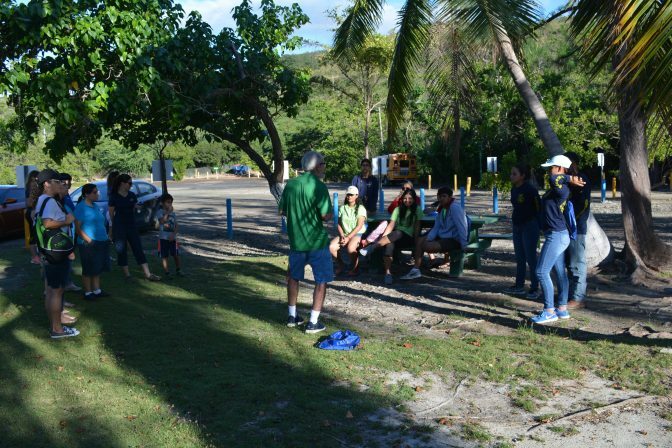 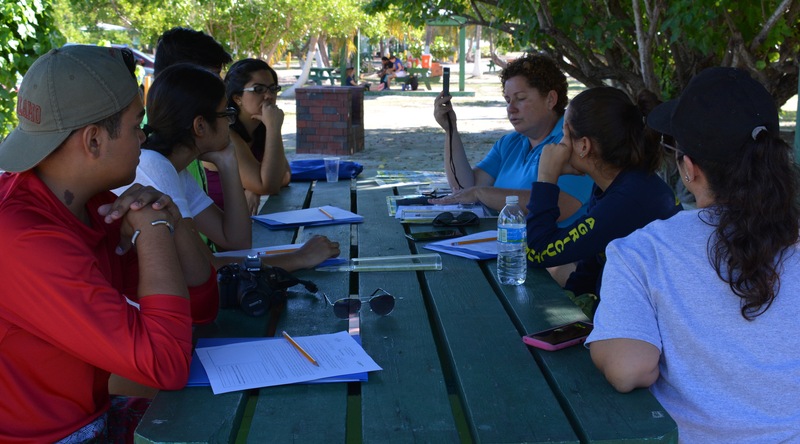 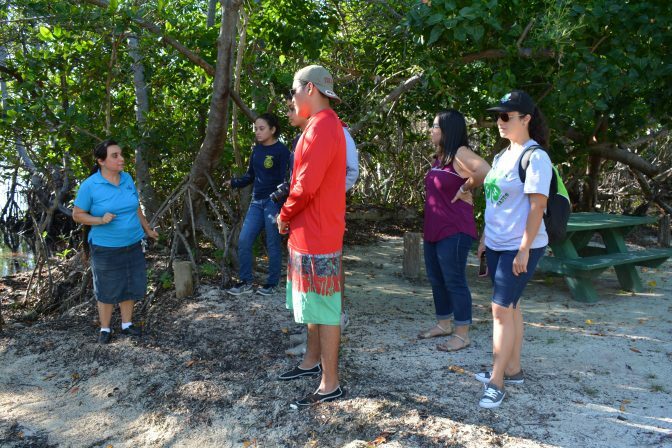 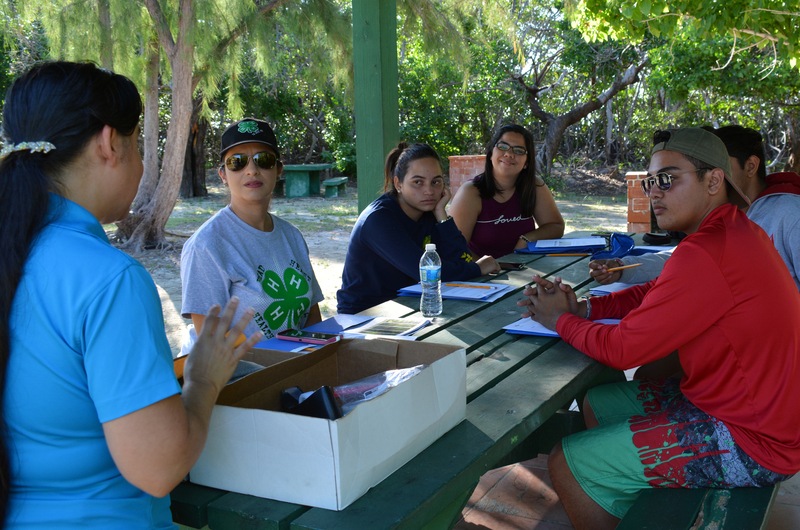 During the activity, participants studied the characteristics of the 4 mangrove tree species in Puerto Rico and identified them in Playita Rosada. 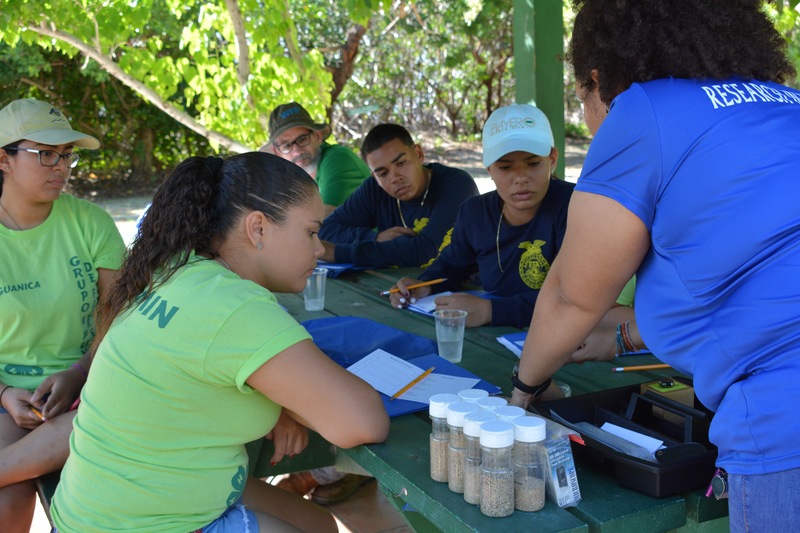 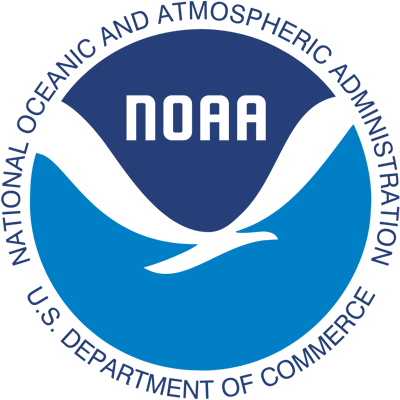 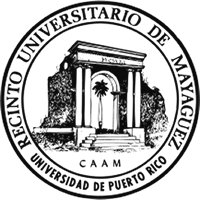 They also analyzed several different types of sand using sand samples collected from beaches around Puerto Rico using a field microscope that helped them view the sand and its characteristics. 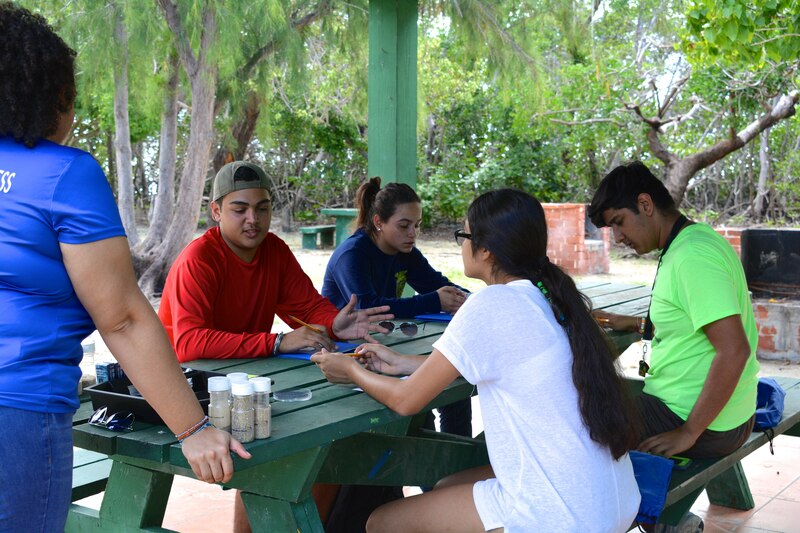 At the seagrass beds and invertebrates station, they studied the difference between grasses and algae, and they could observe, touch and learn about the different invertebrates that inhabit these ecosystems. Some of the invertebrates included several sea urchin species (red, white, and reef), sea cucumbers, sea stars, and others. 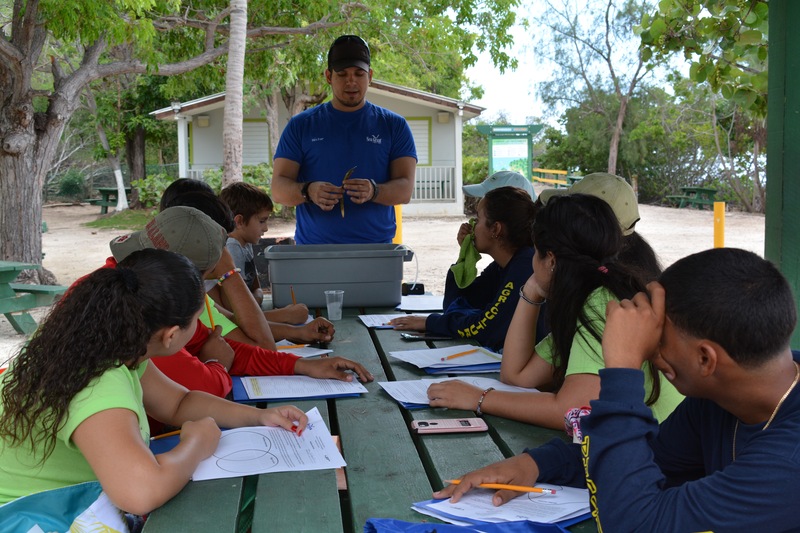 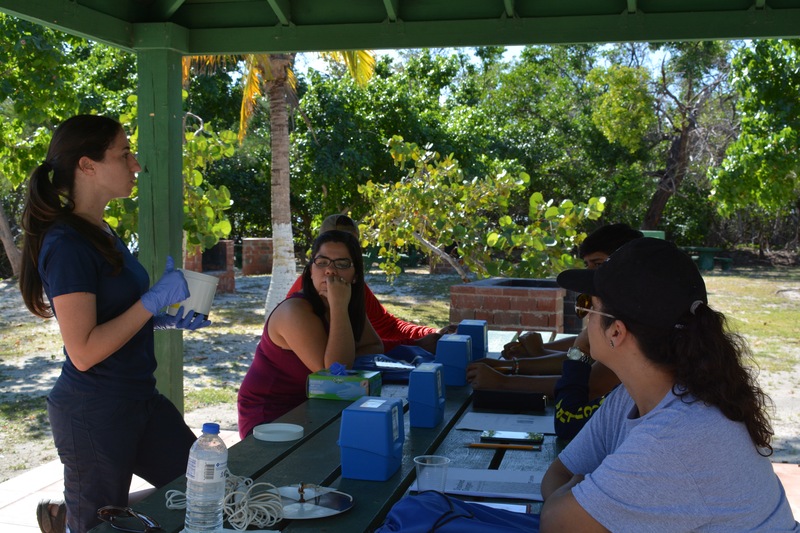 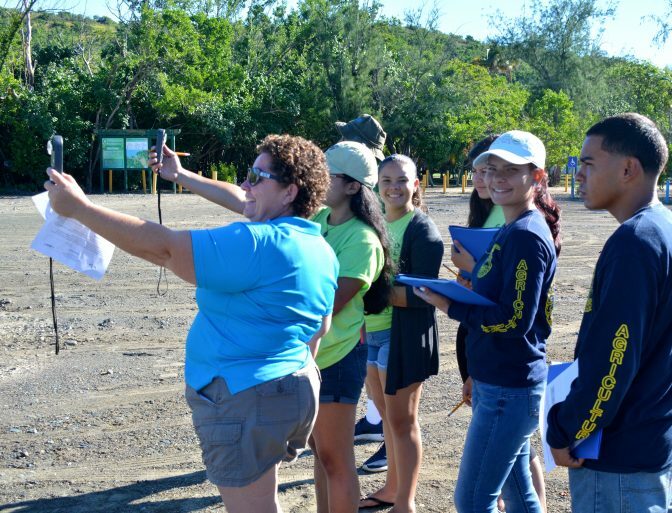 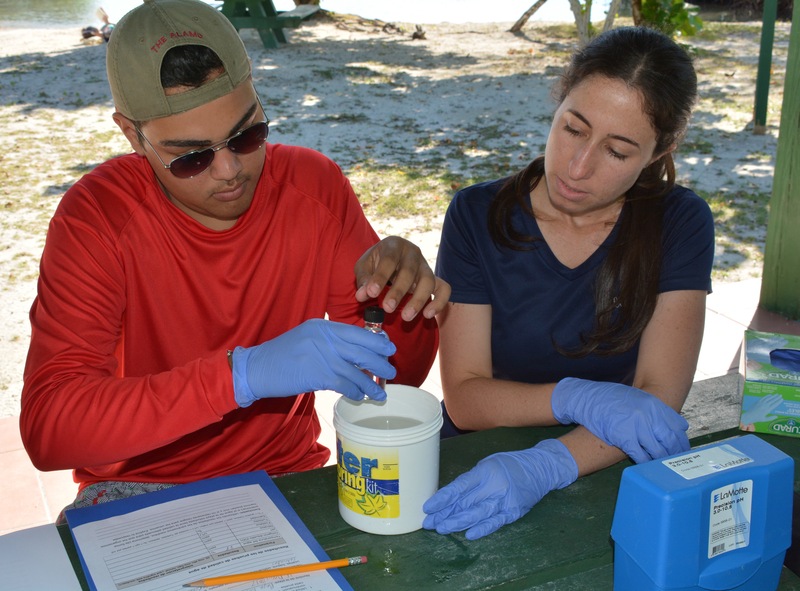 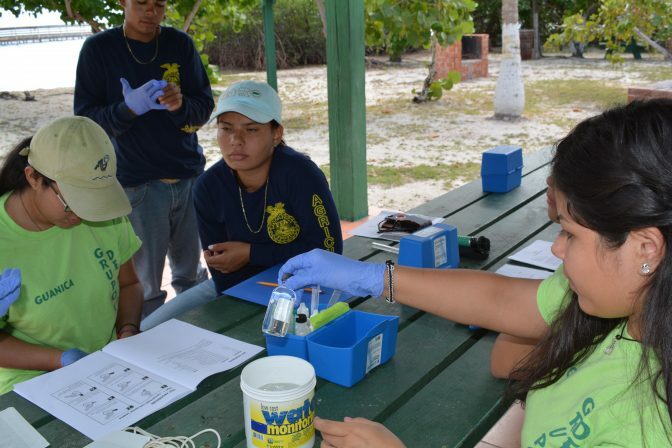 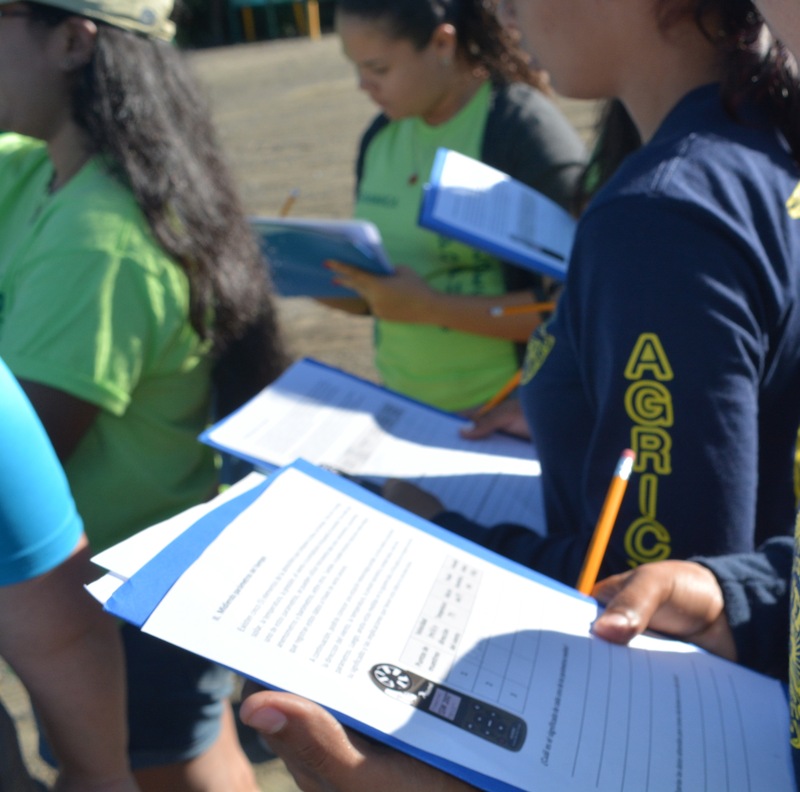 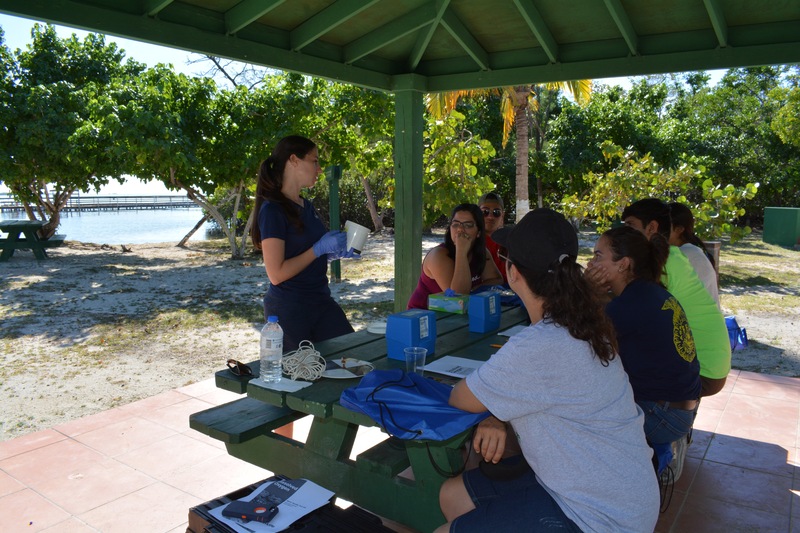 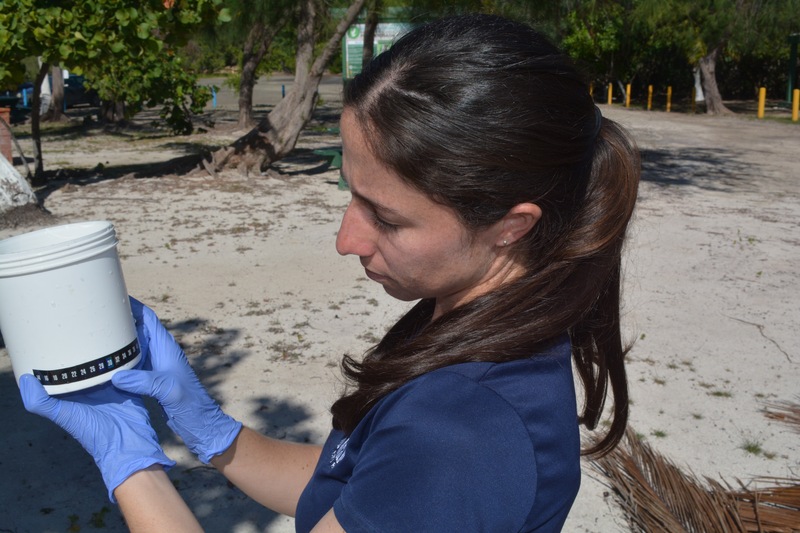 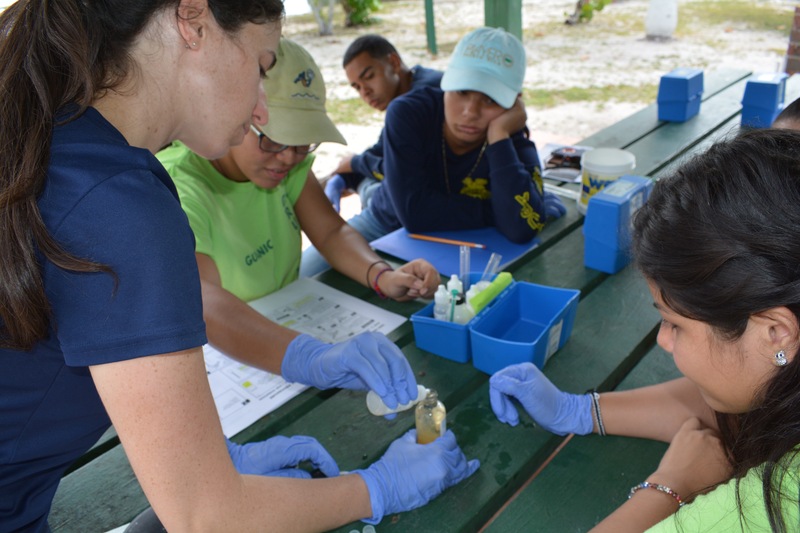 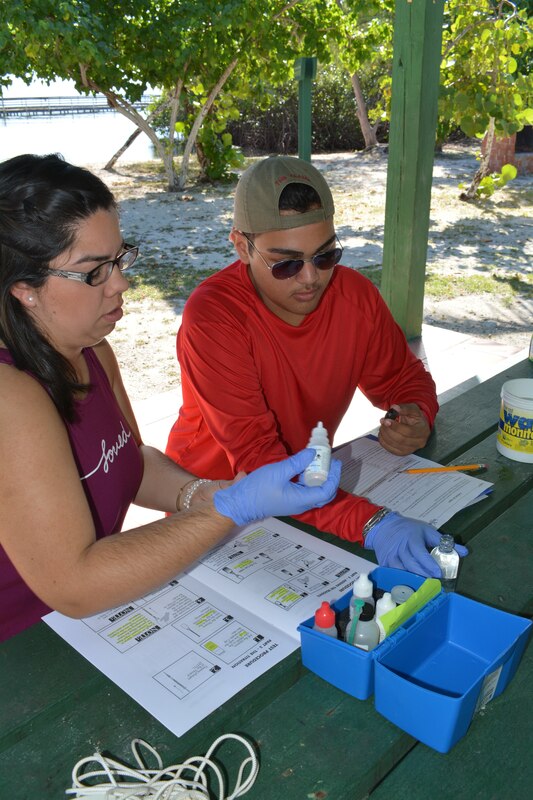 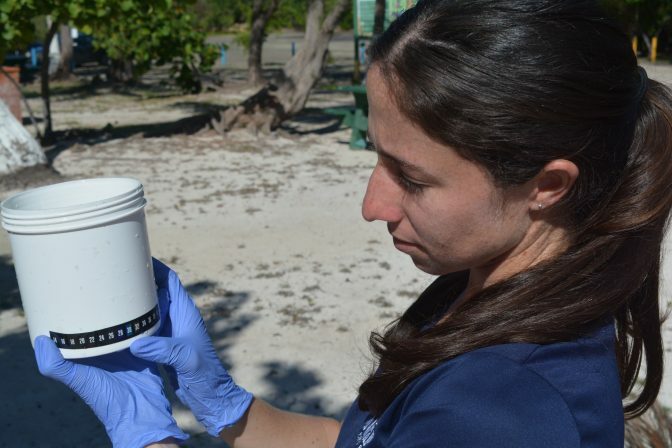 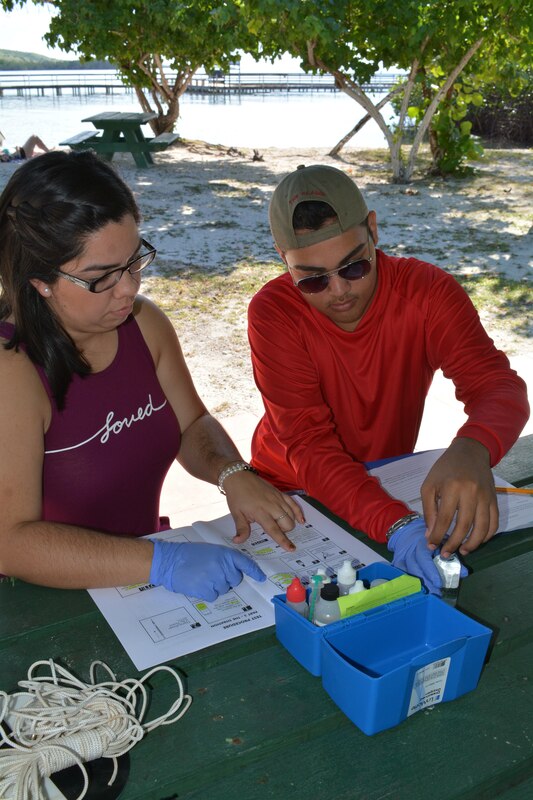 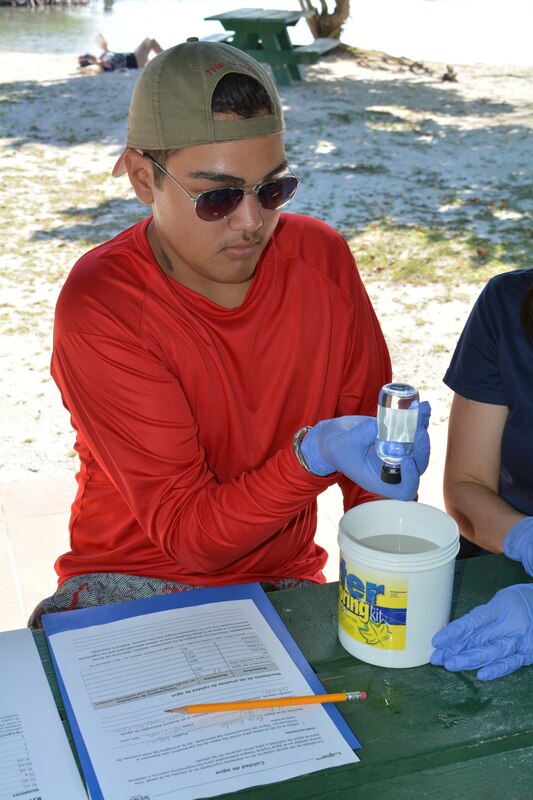 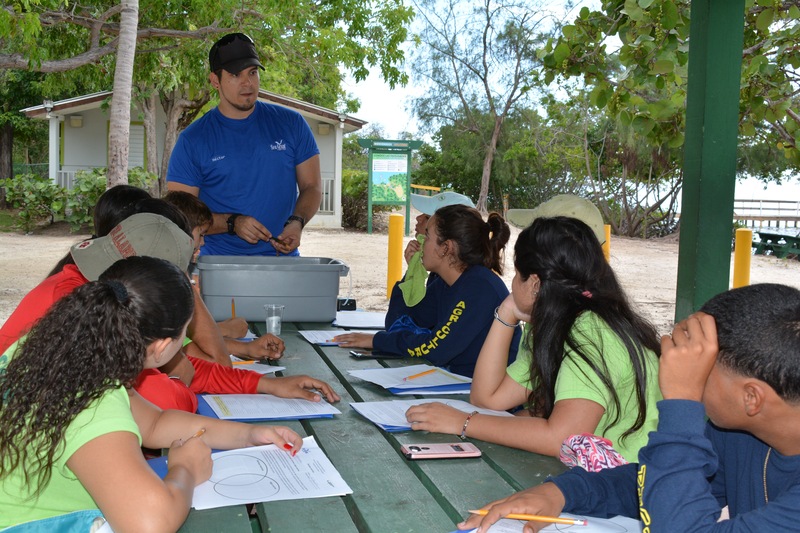 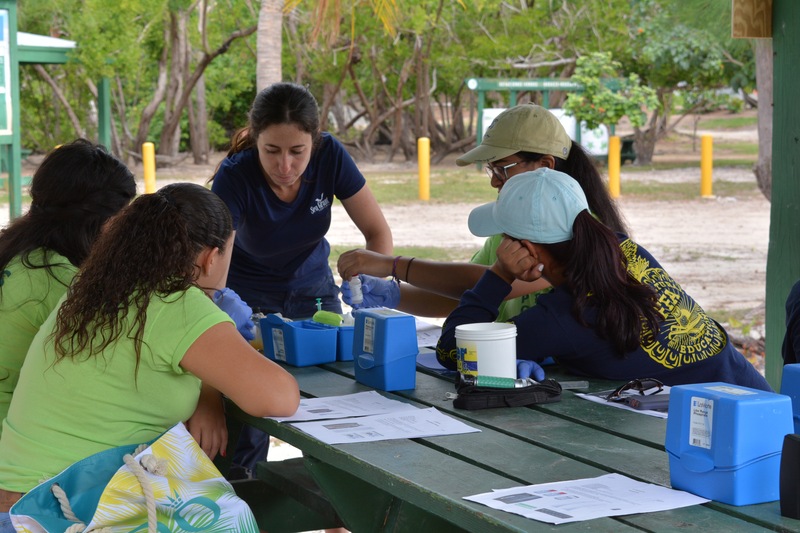 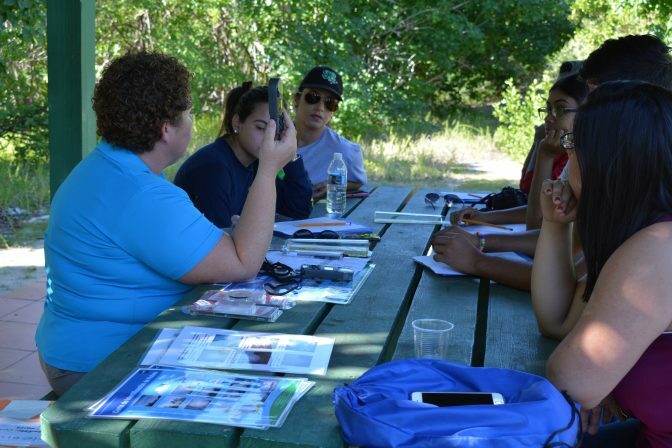 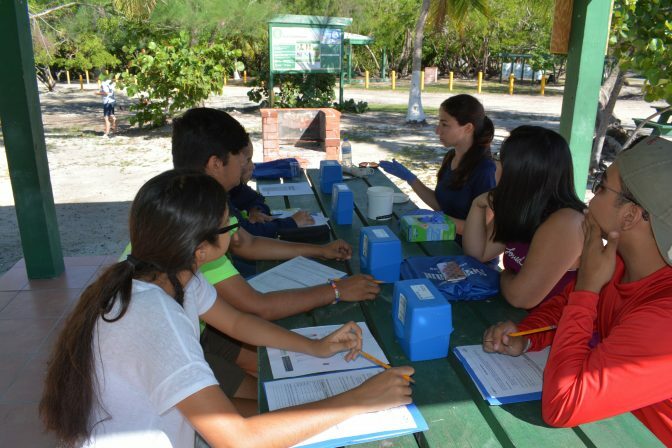 Elsewhere, students analyzed water quality and learned about each of the parameters under study and their importance as it relates to ocean species and their survival. 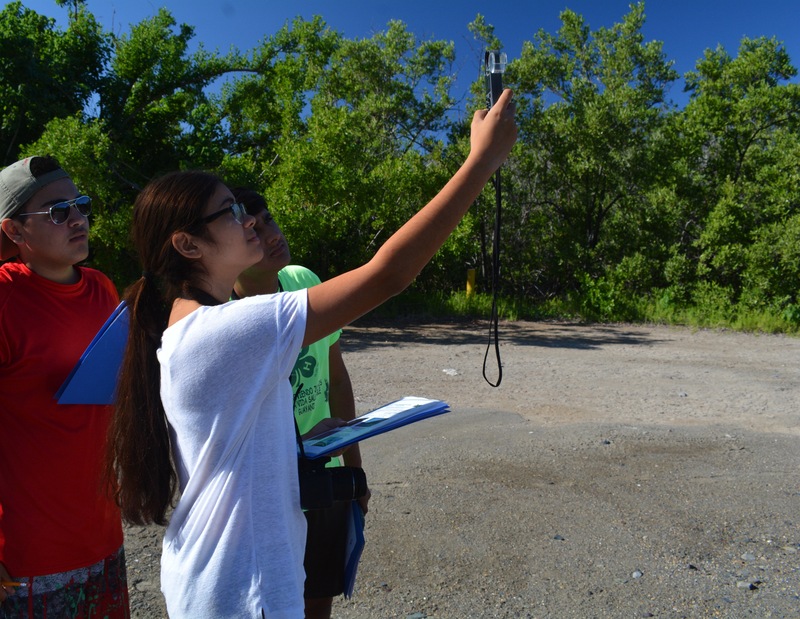 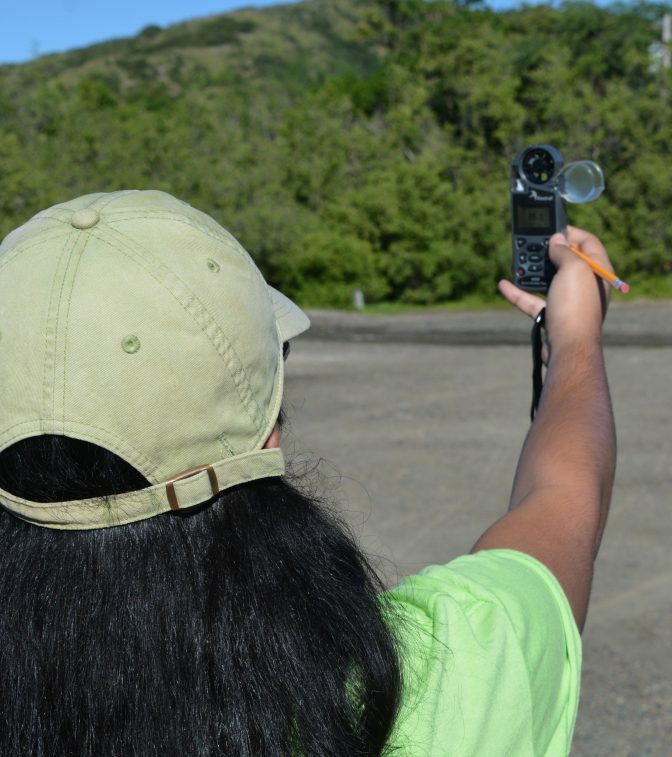 Lastly, students analyzed several weather parameters using a portable weather station. They were also shown several instruments like an anemometer and a pluviometer, so they could learn to use them. It was a very rewarding, enriching experience. 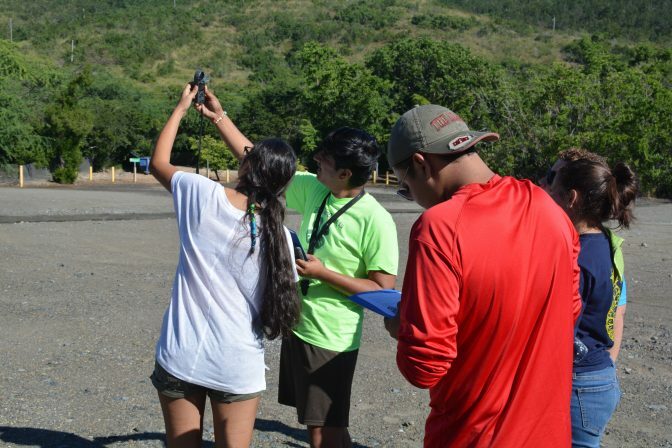 Below, we’ve included several photographs taken during the activity.